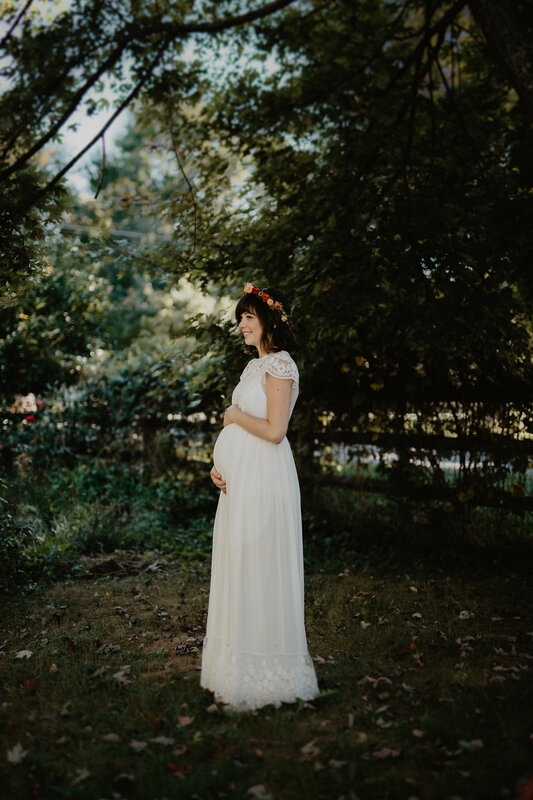 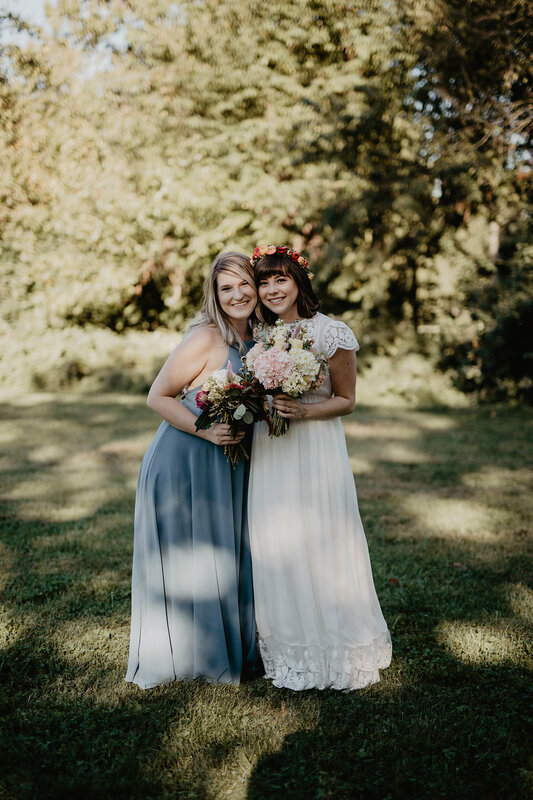 When one of your best friends ties the knot while 6 months pregnant and asks you to be the photographer AND a bridesmaid...you just say yes. 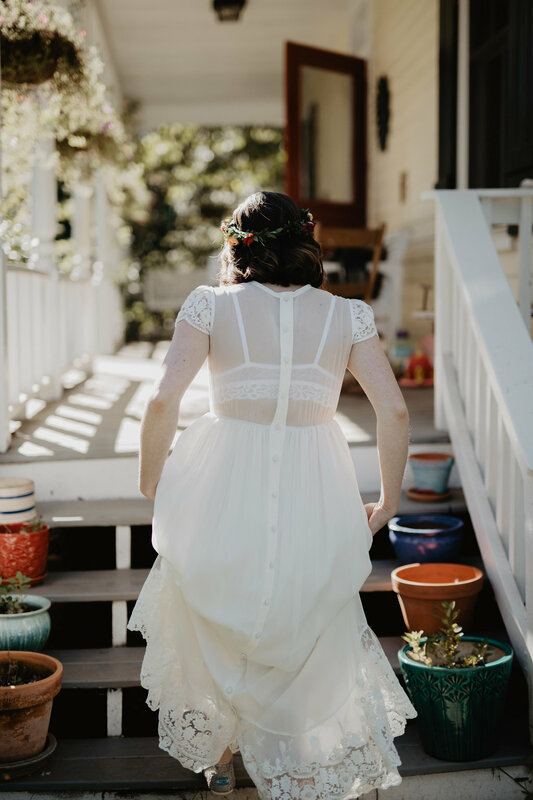 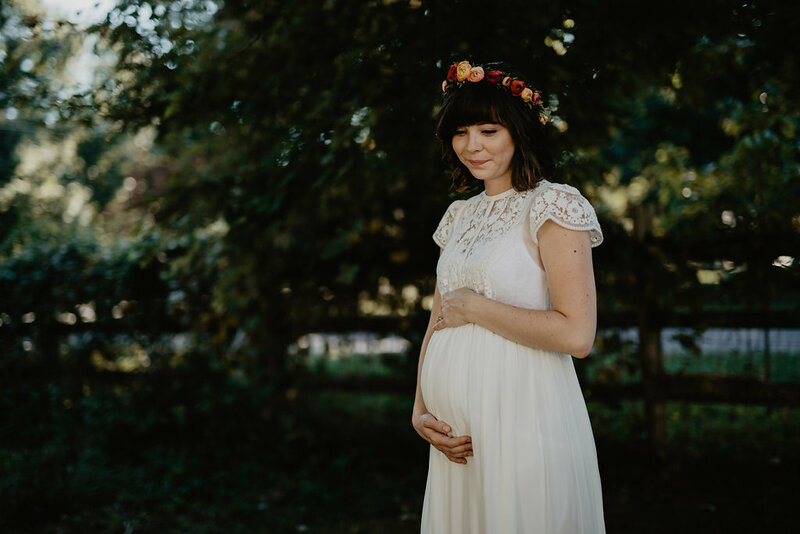 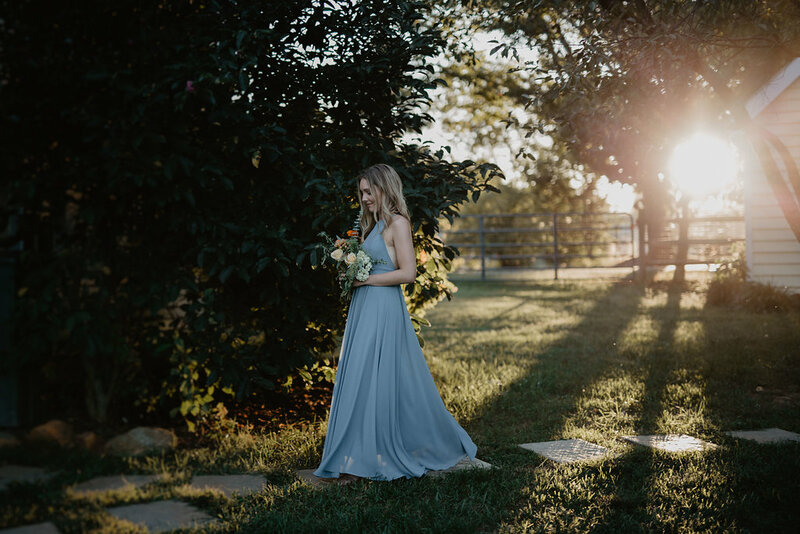 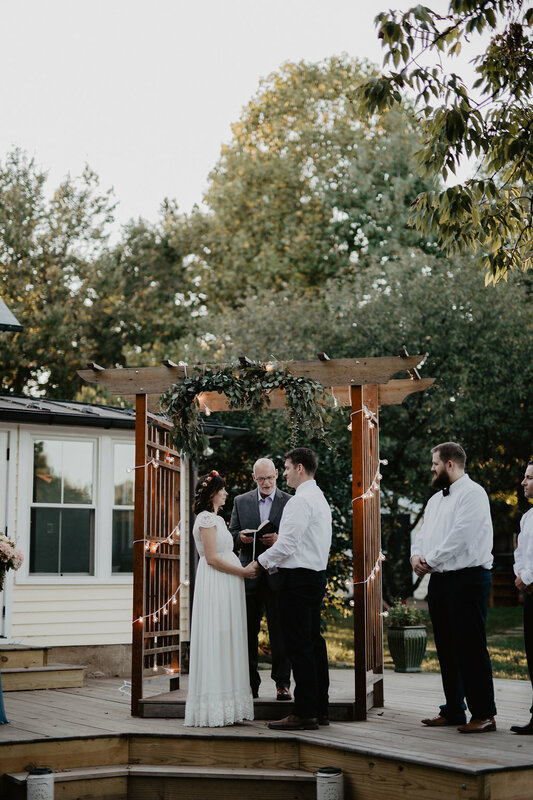 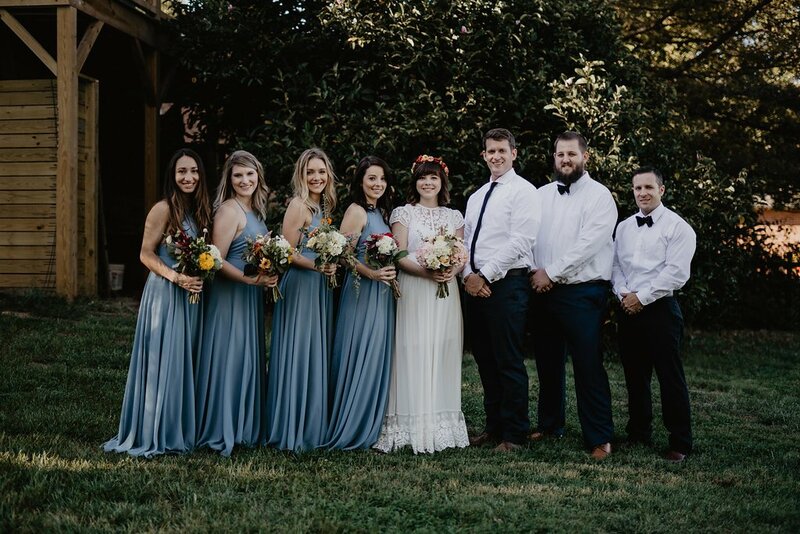 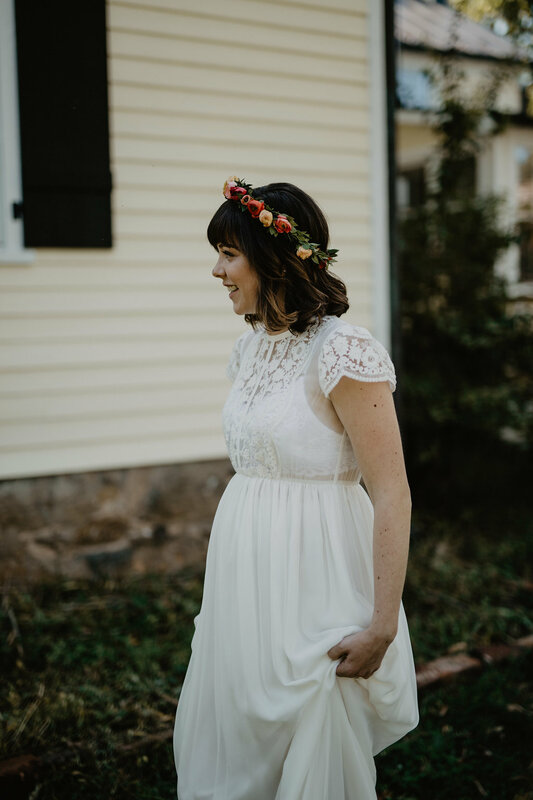 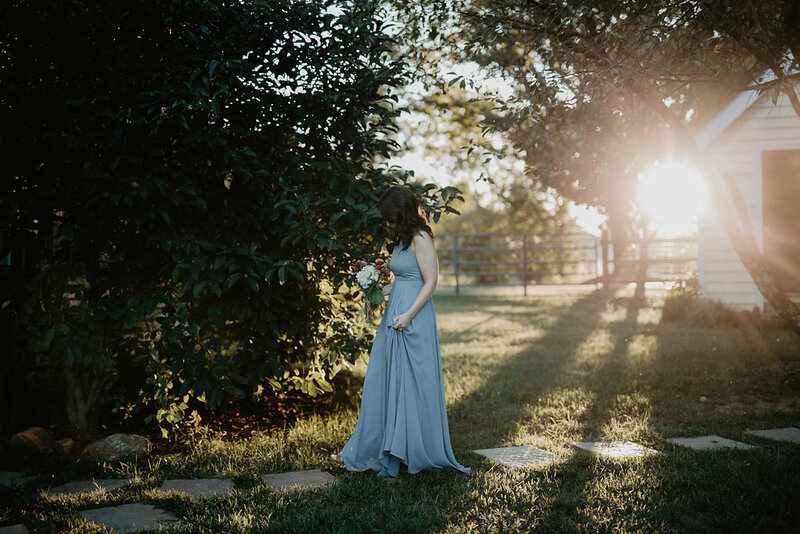 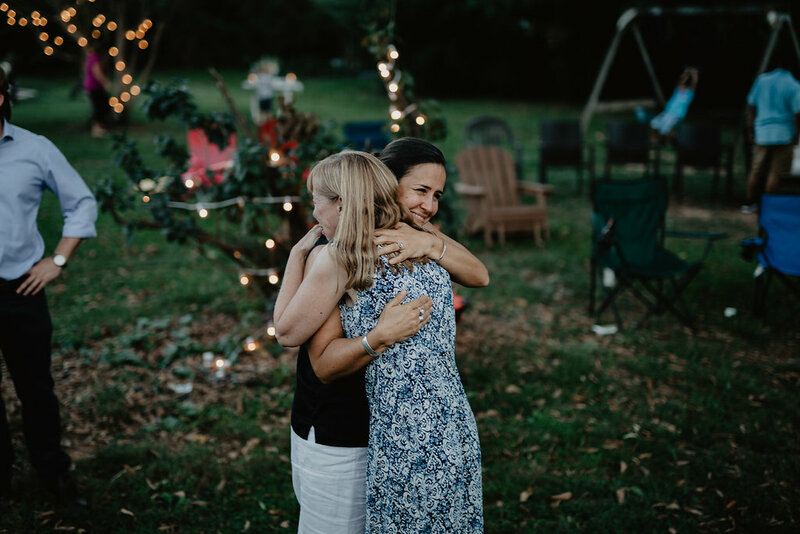 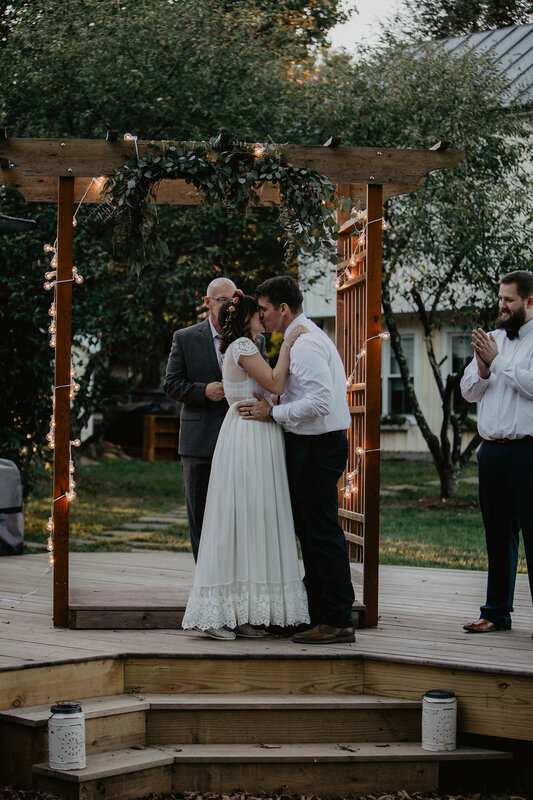 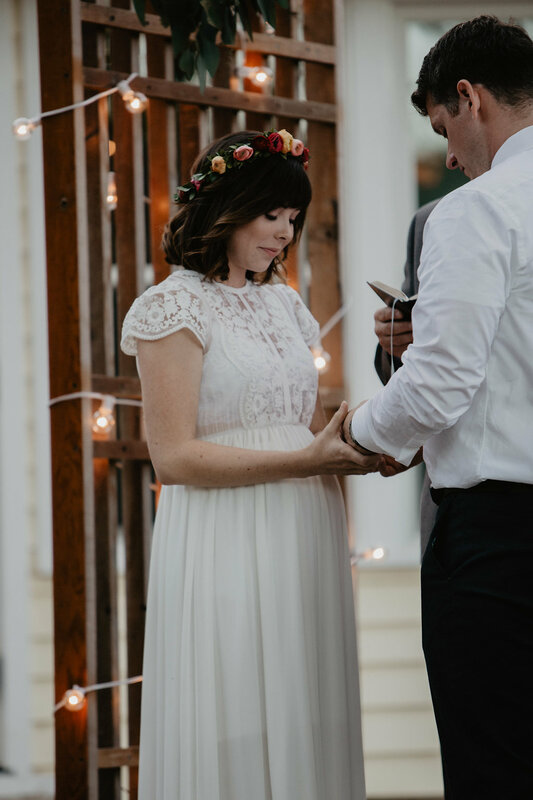 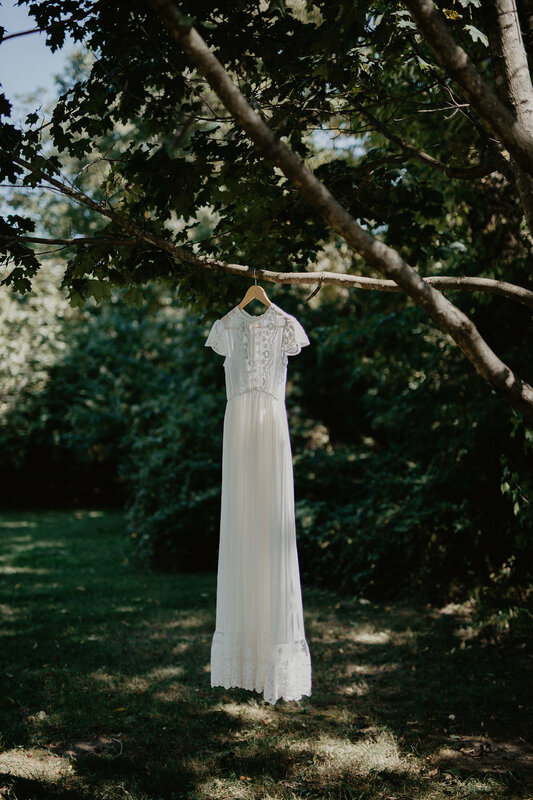 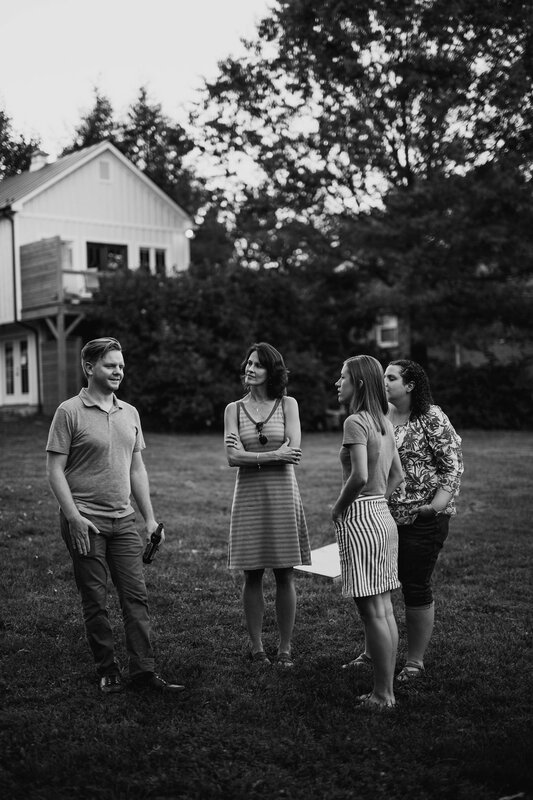 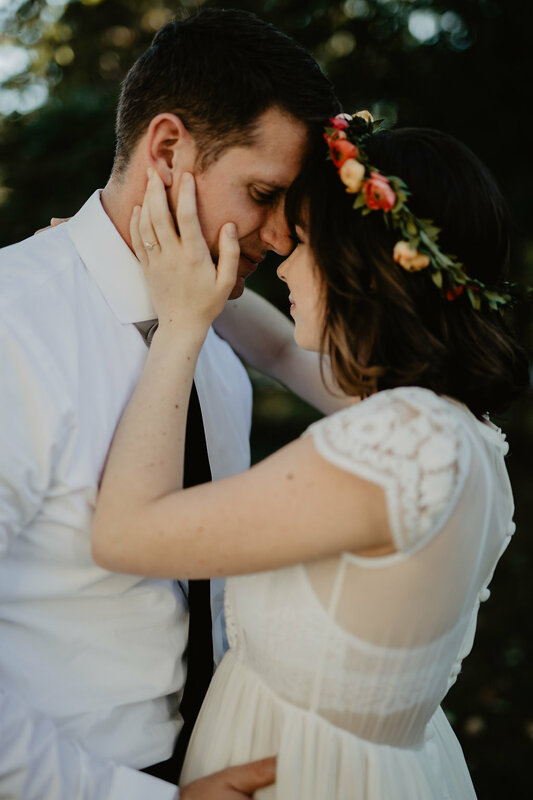 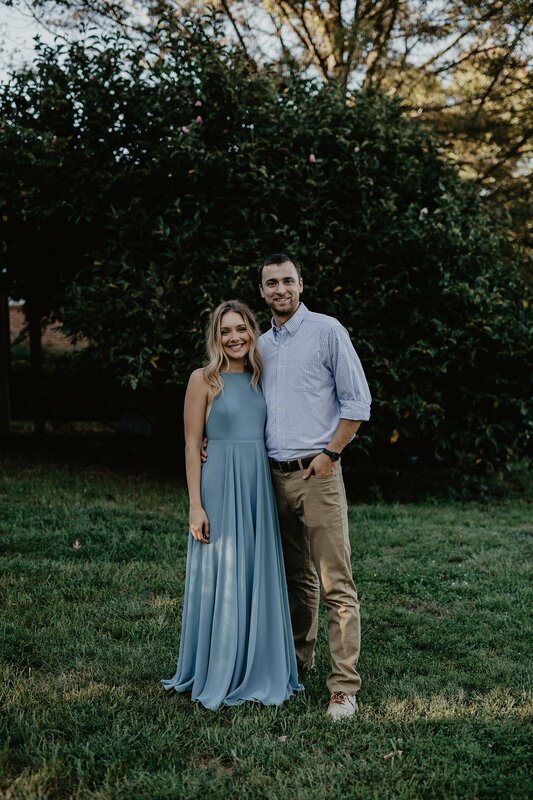 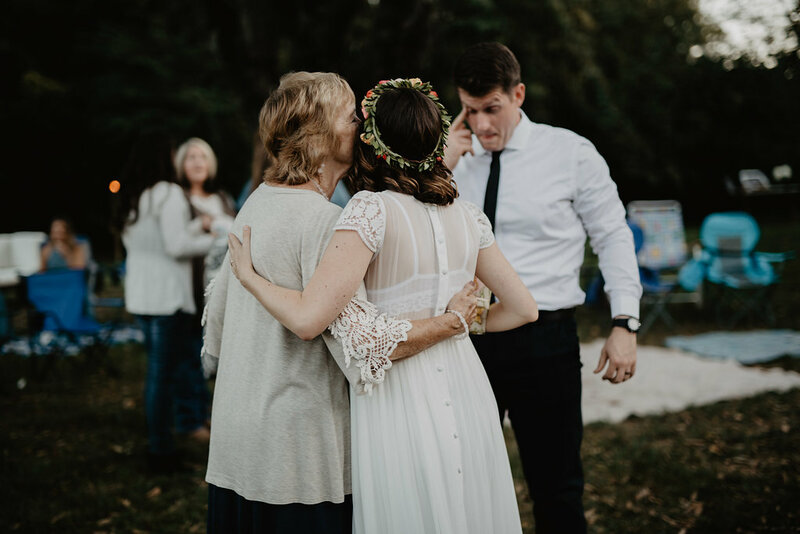 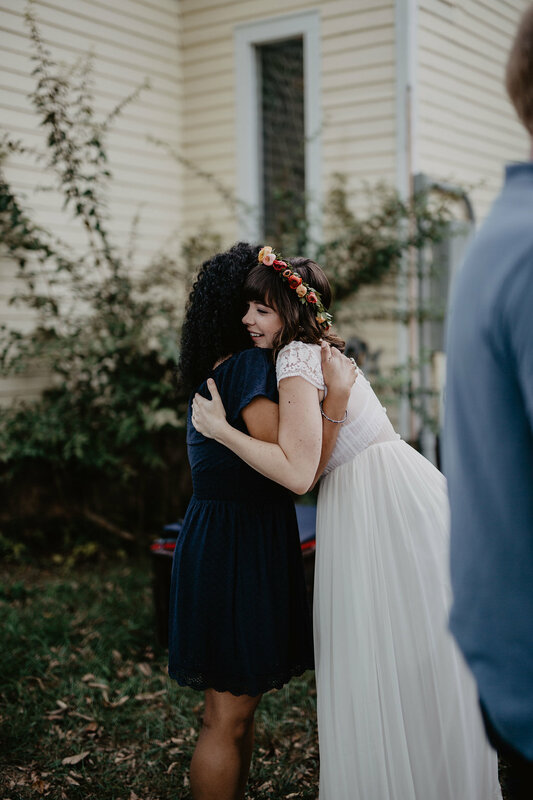 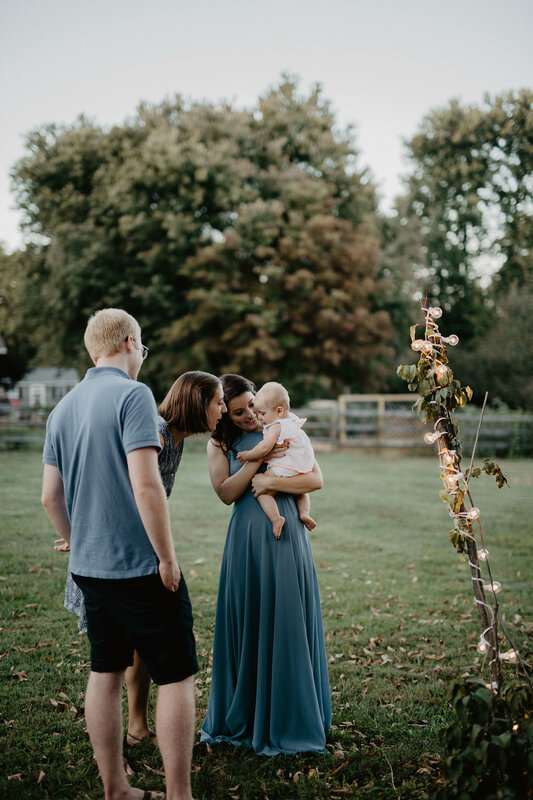 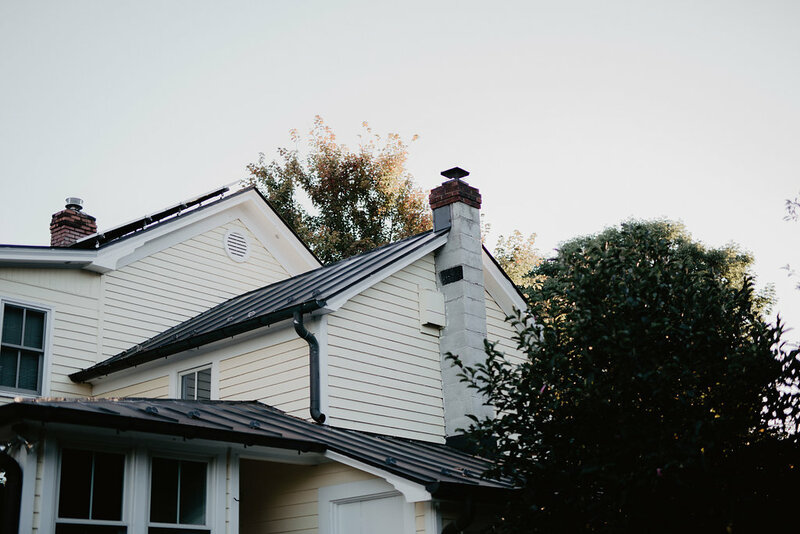 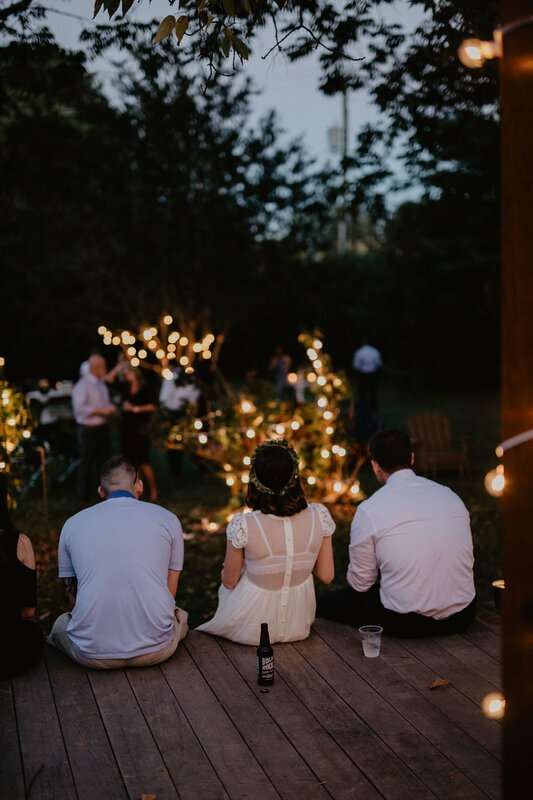 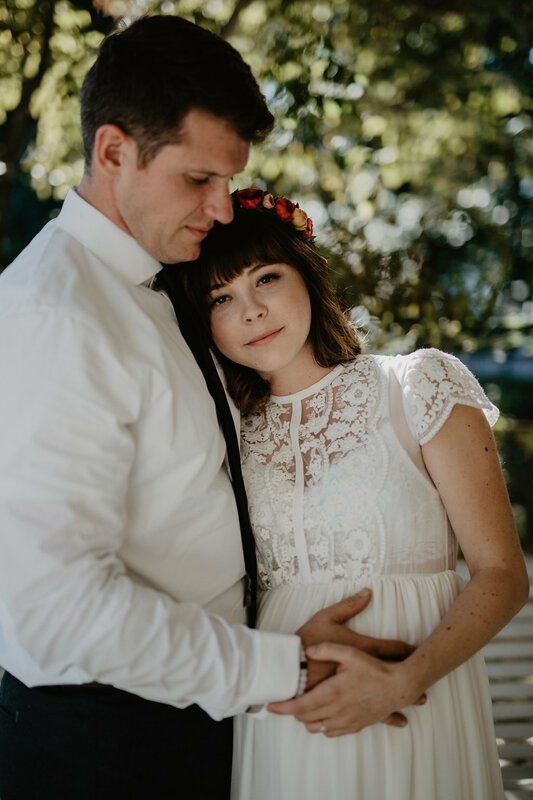 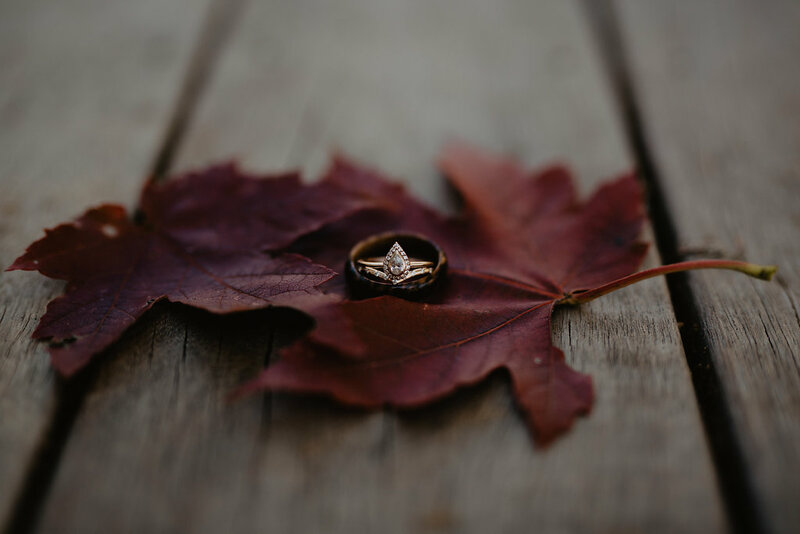 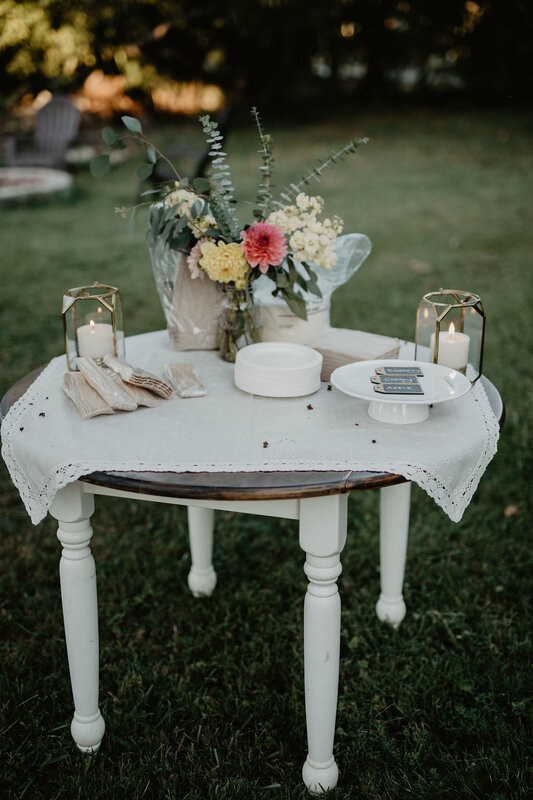 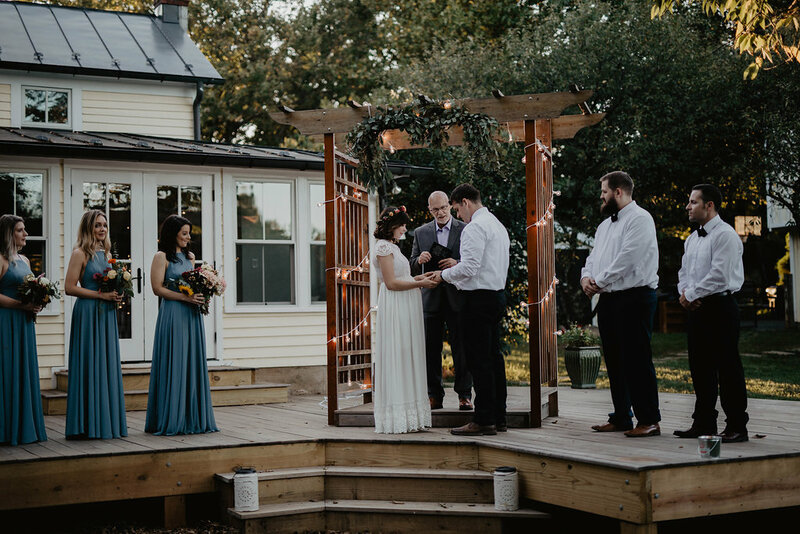 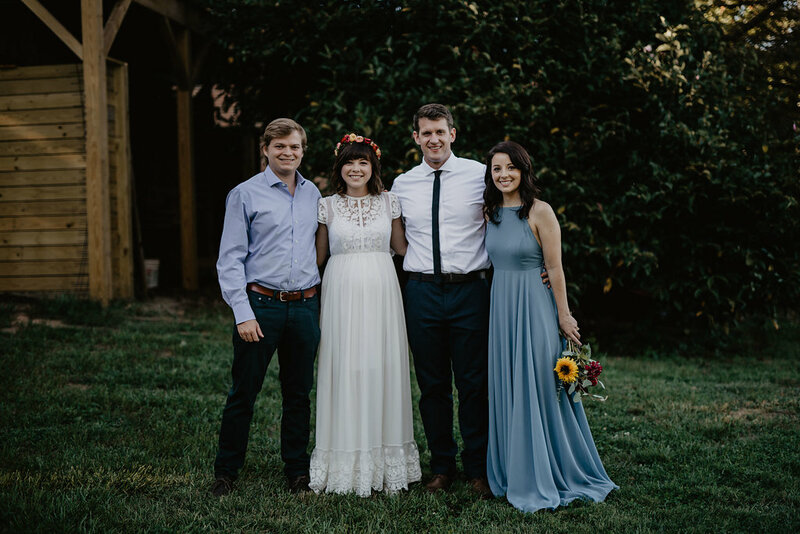 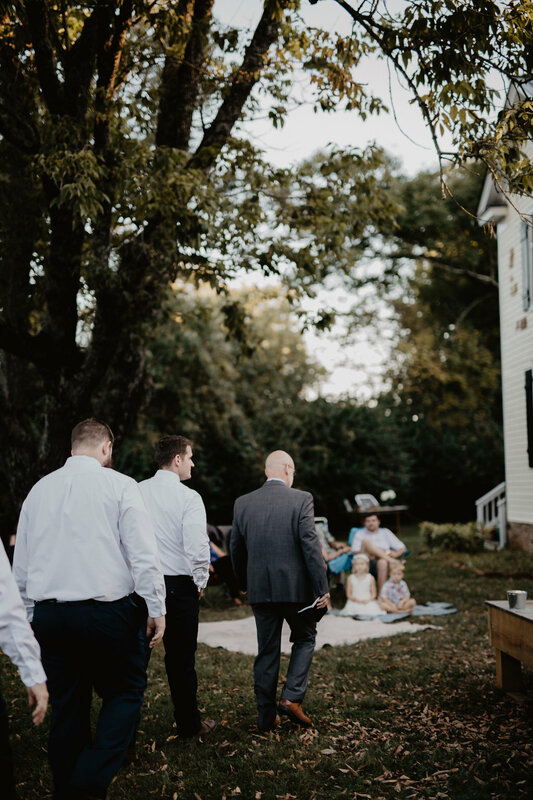 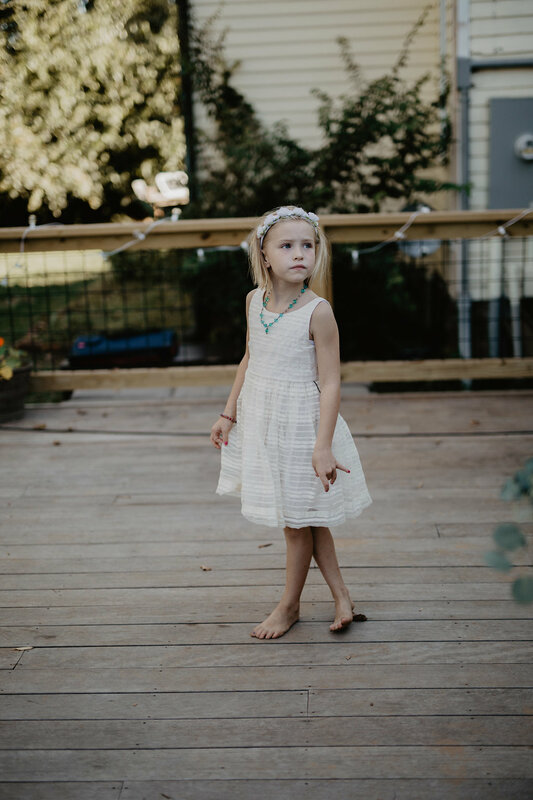 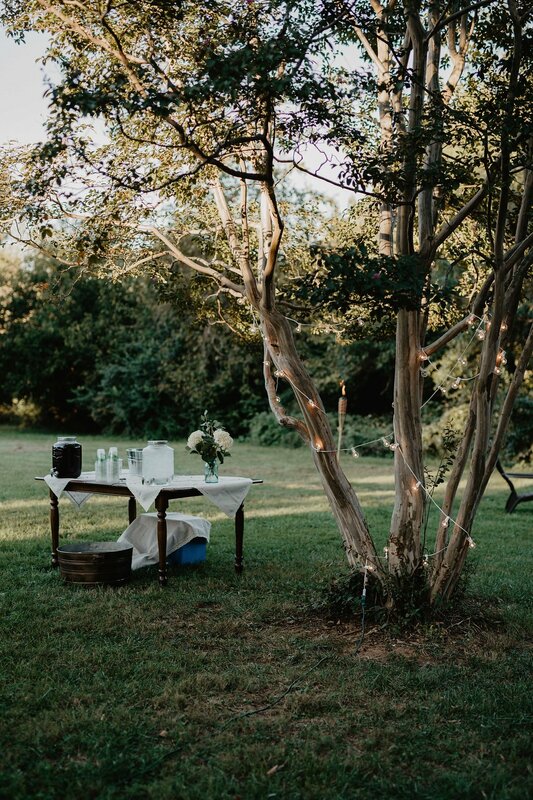 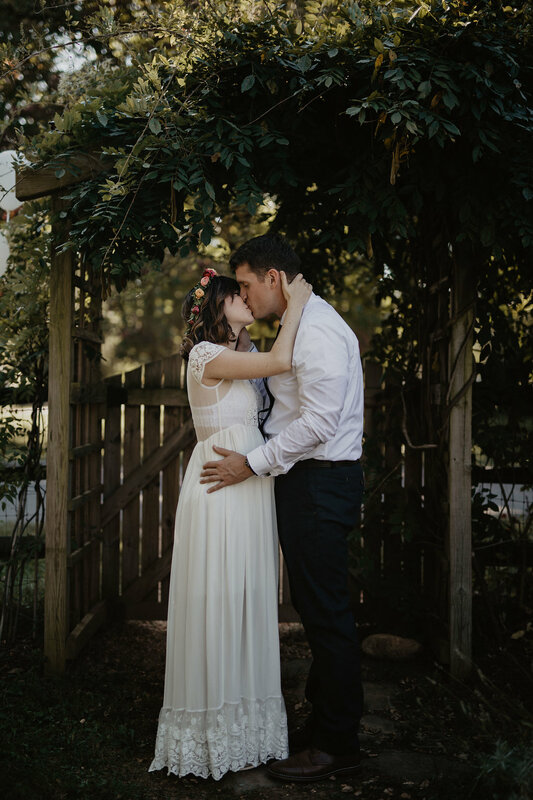 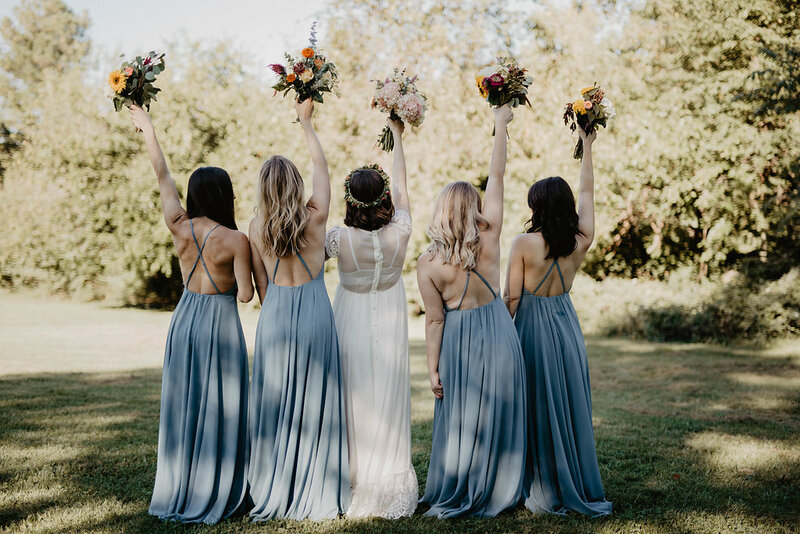 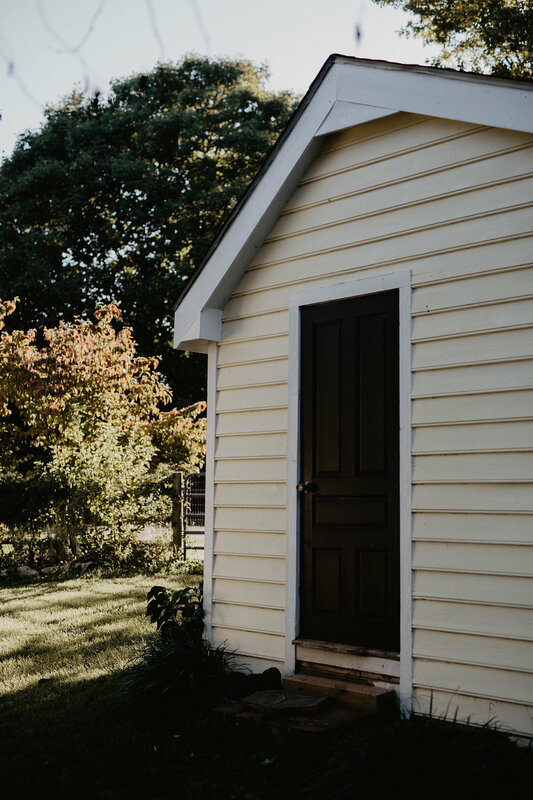 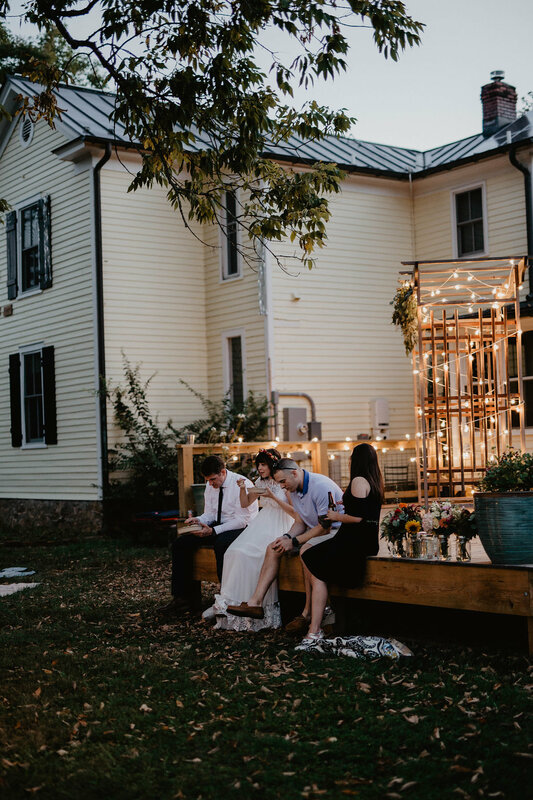 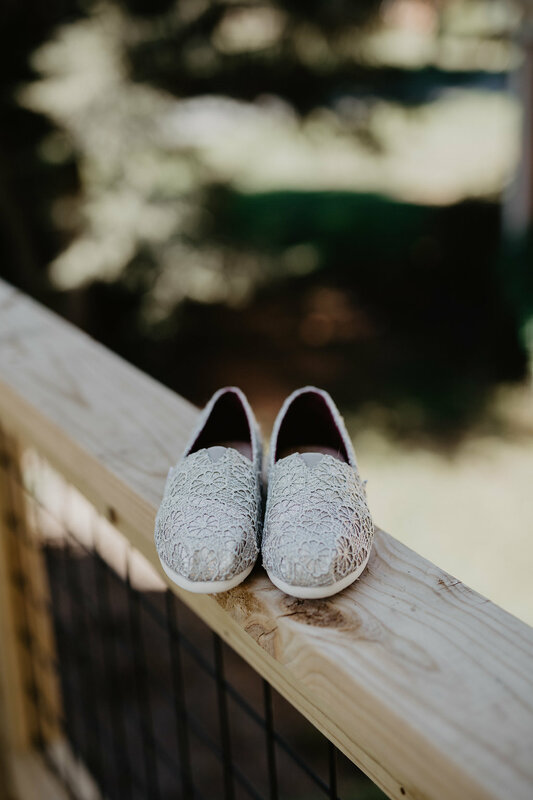 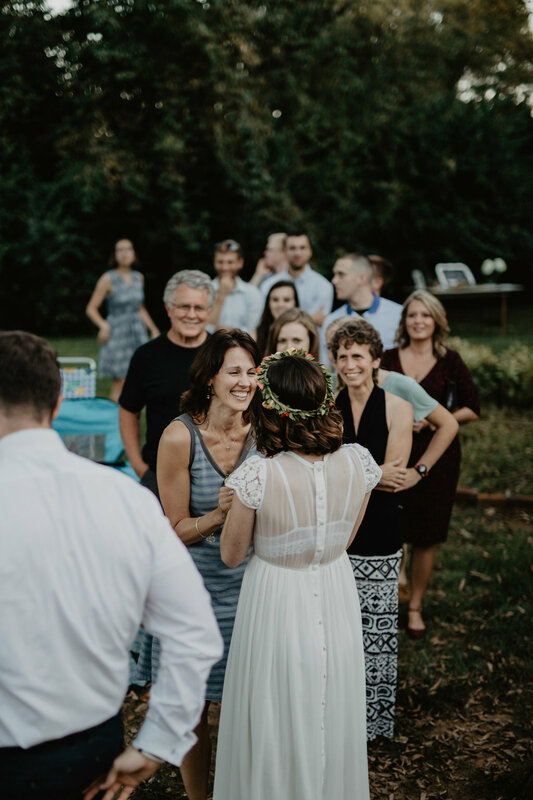 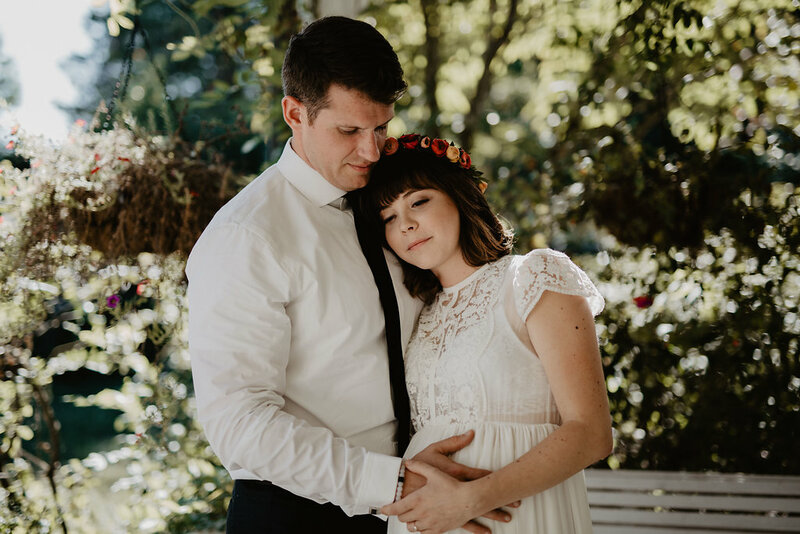 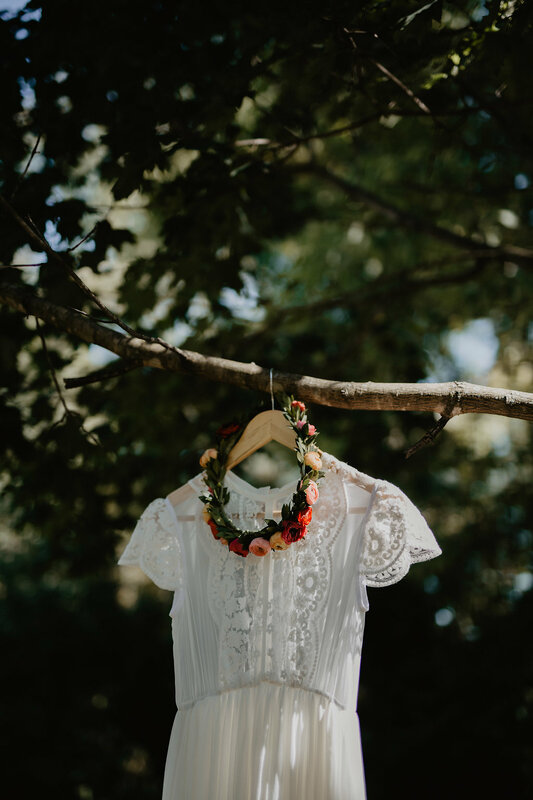 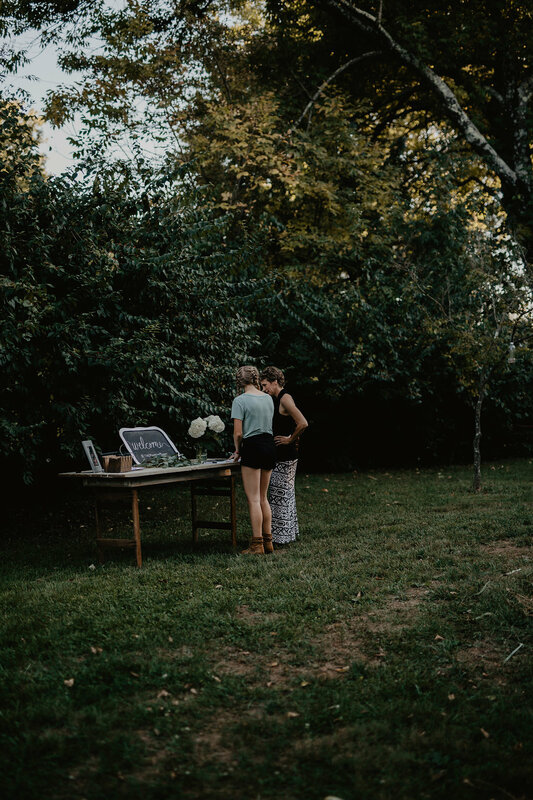 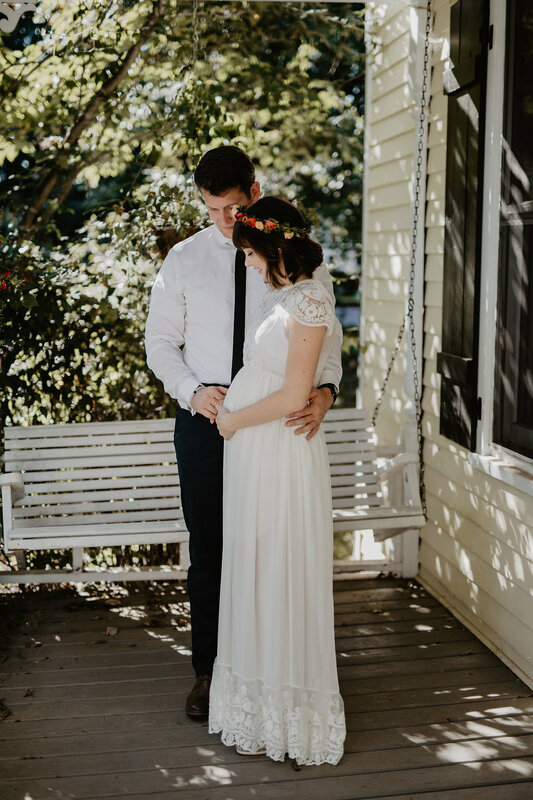 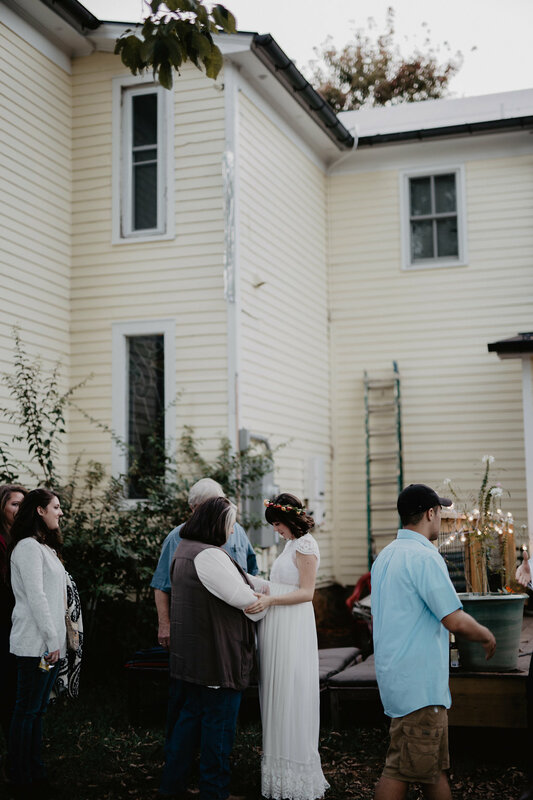 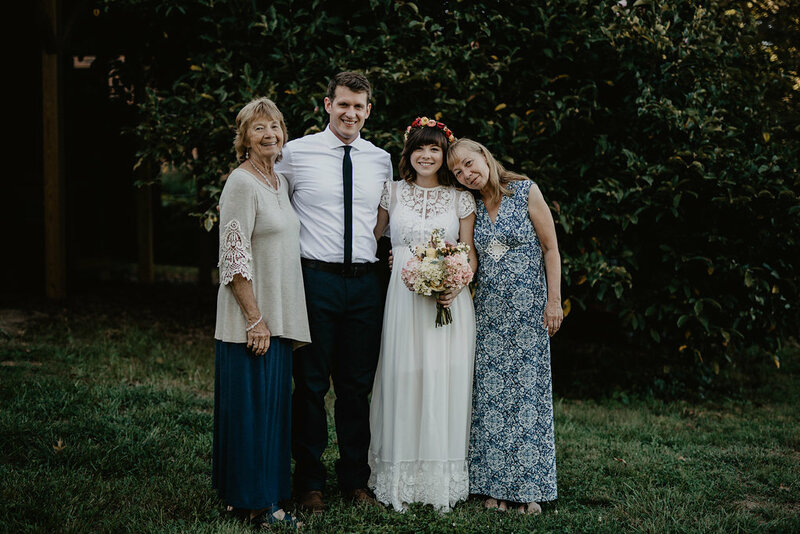 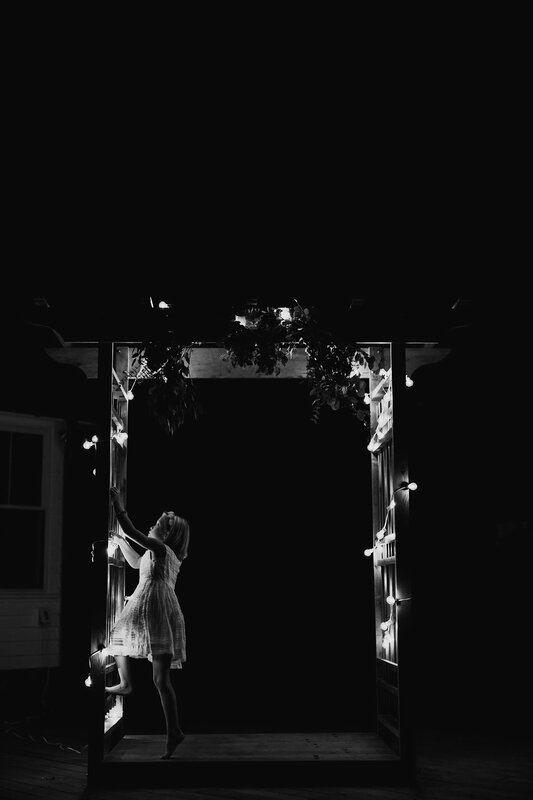 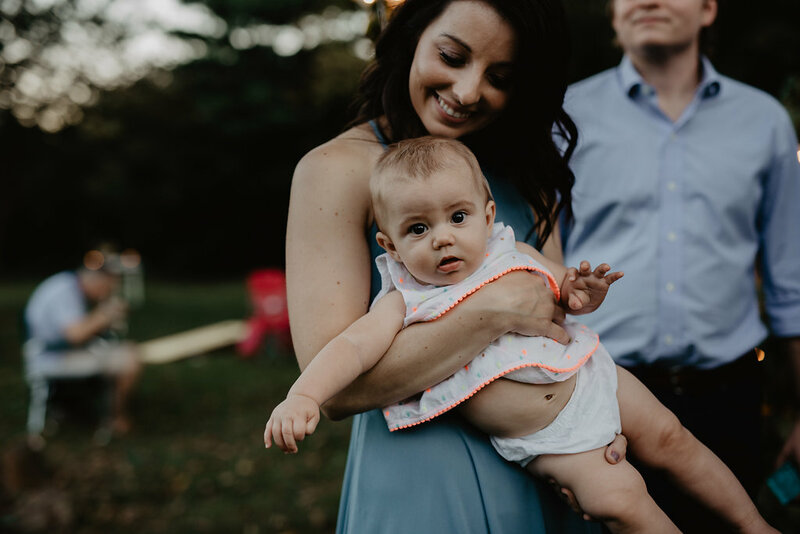 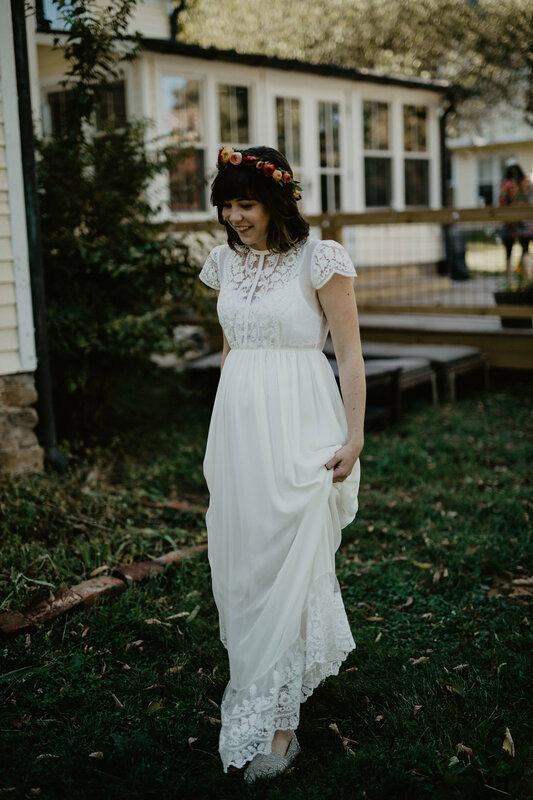 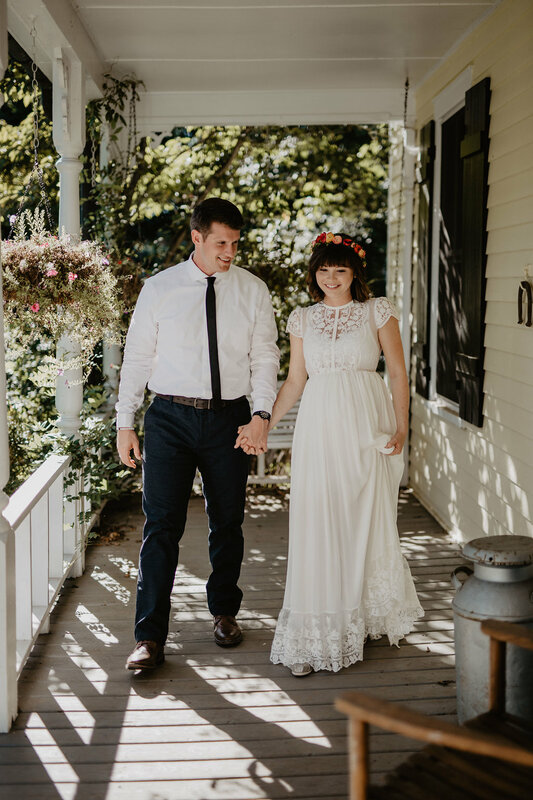 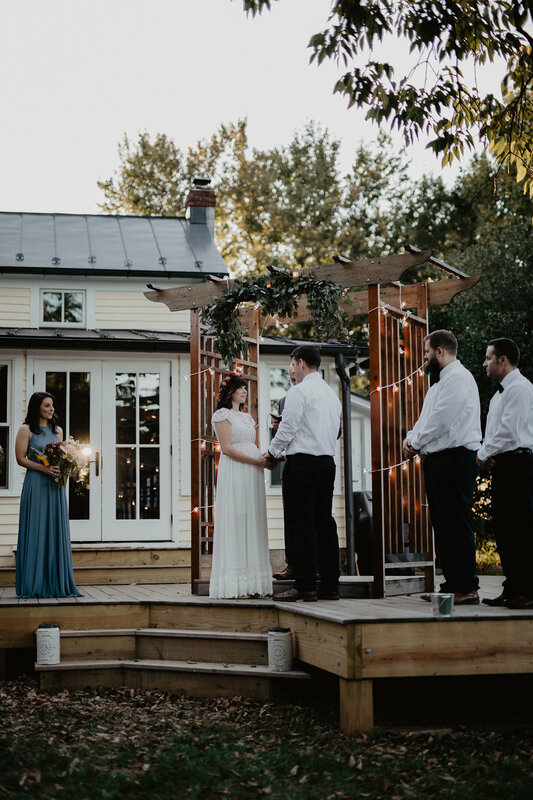 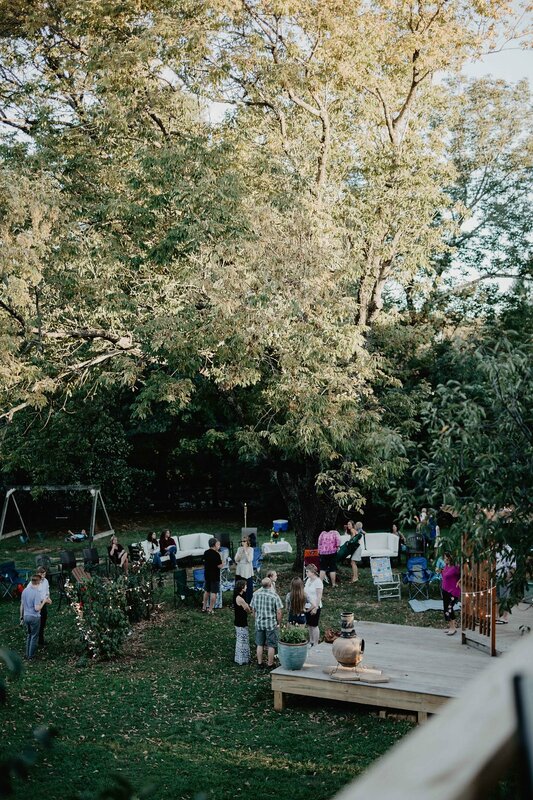 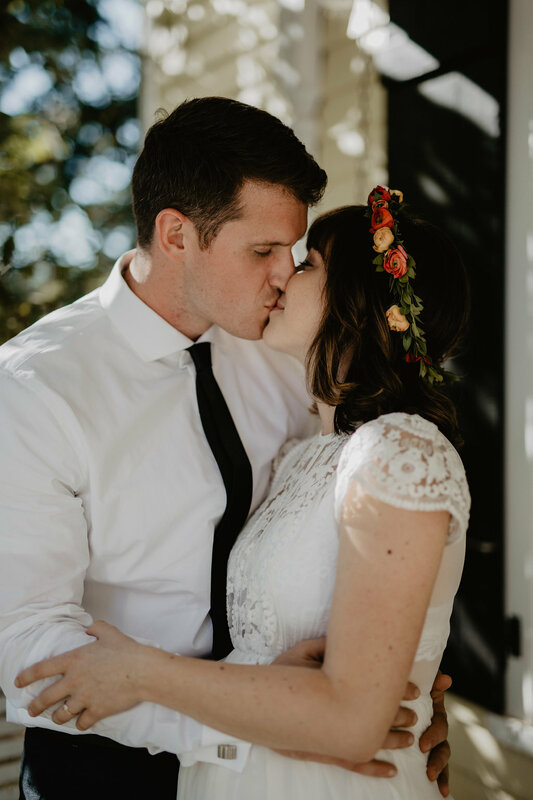 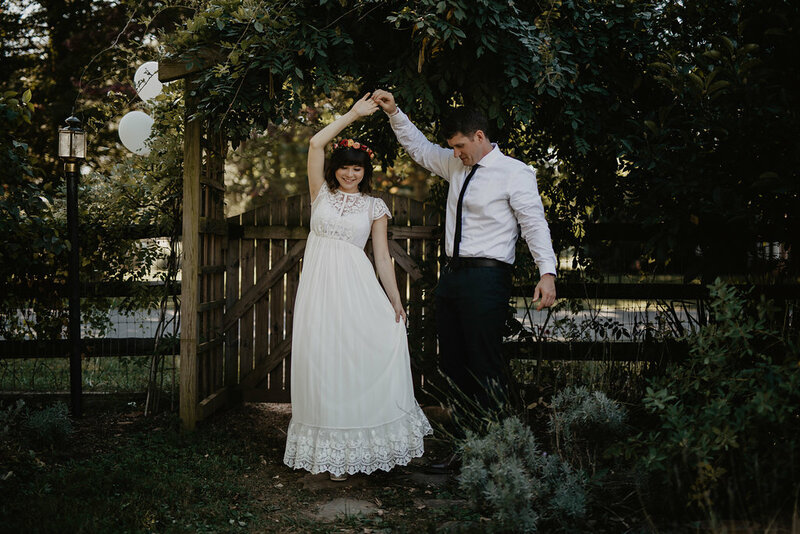 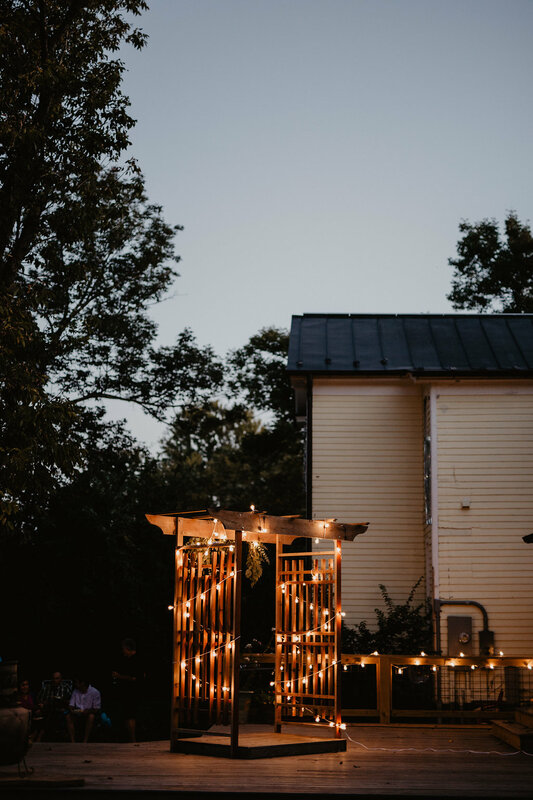 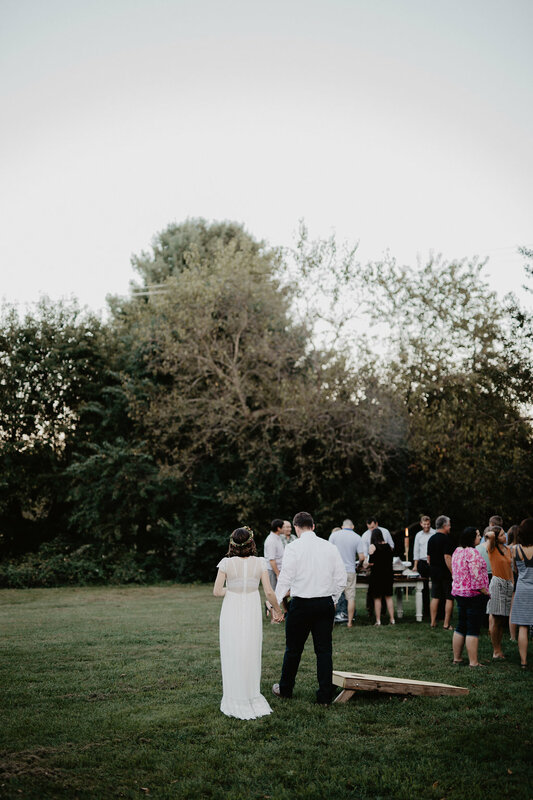 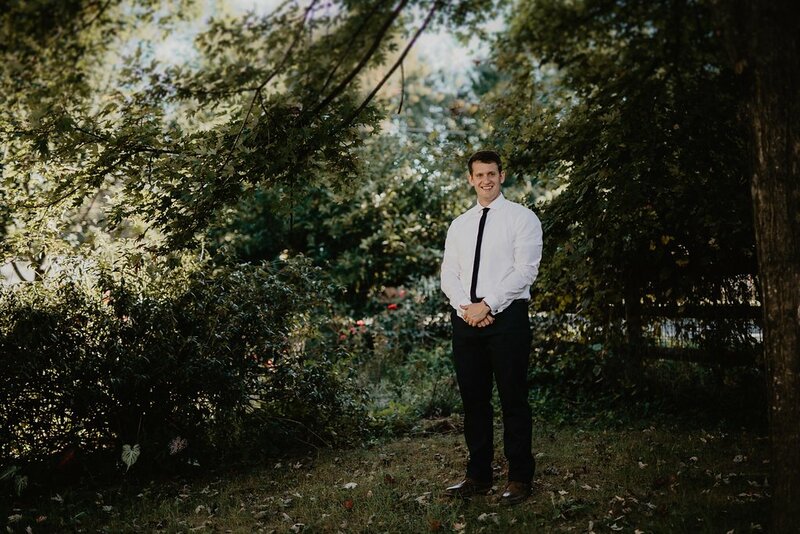 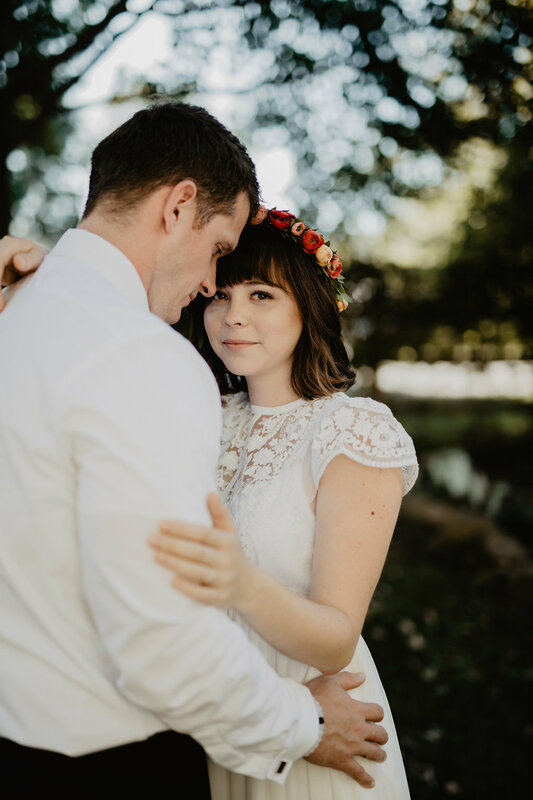 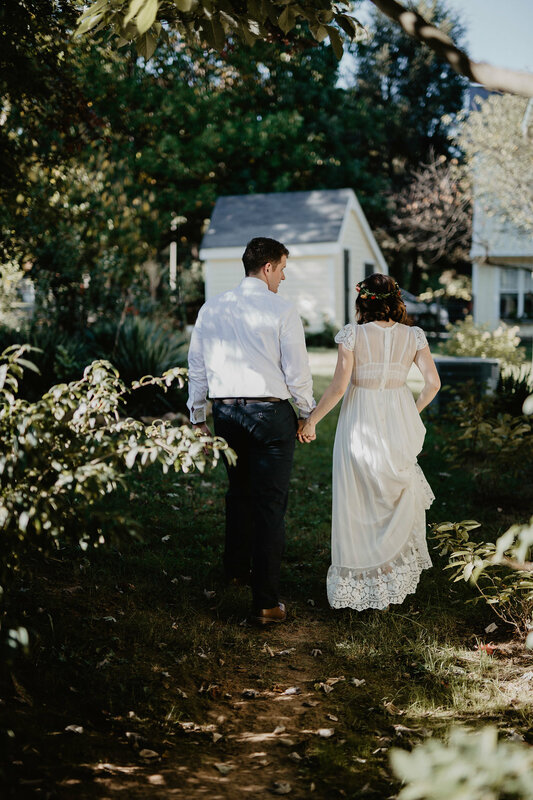 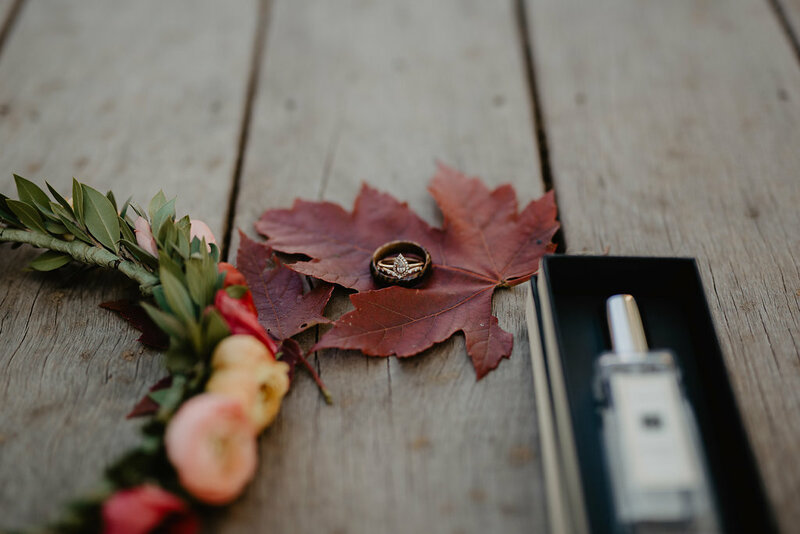 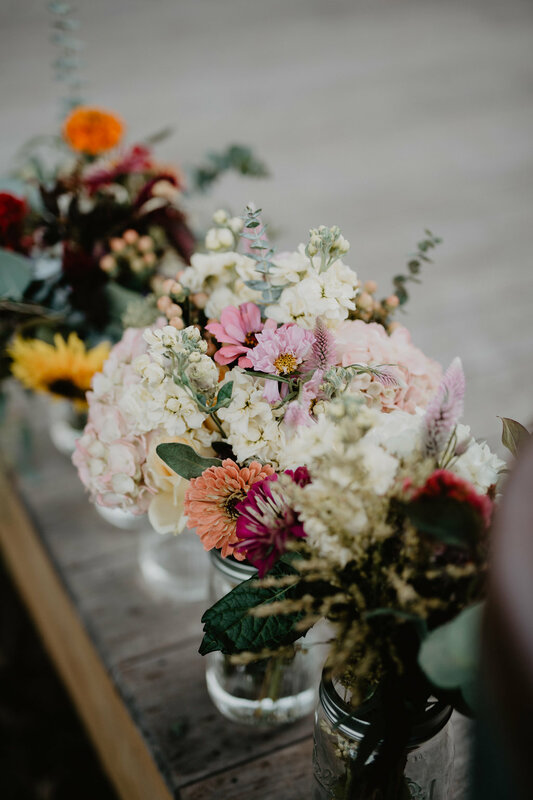 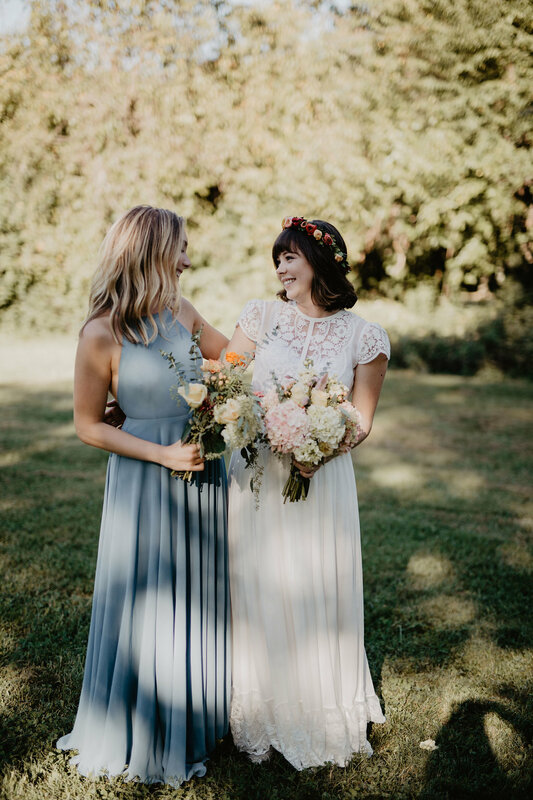 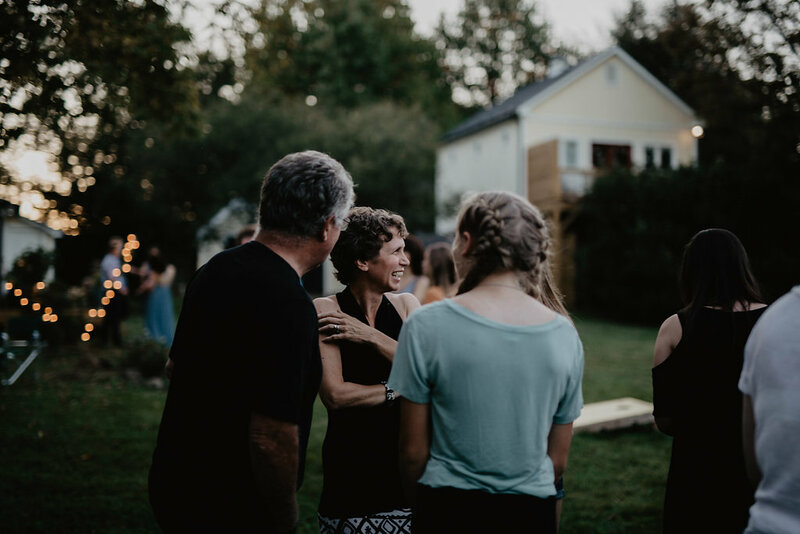 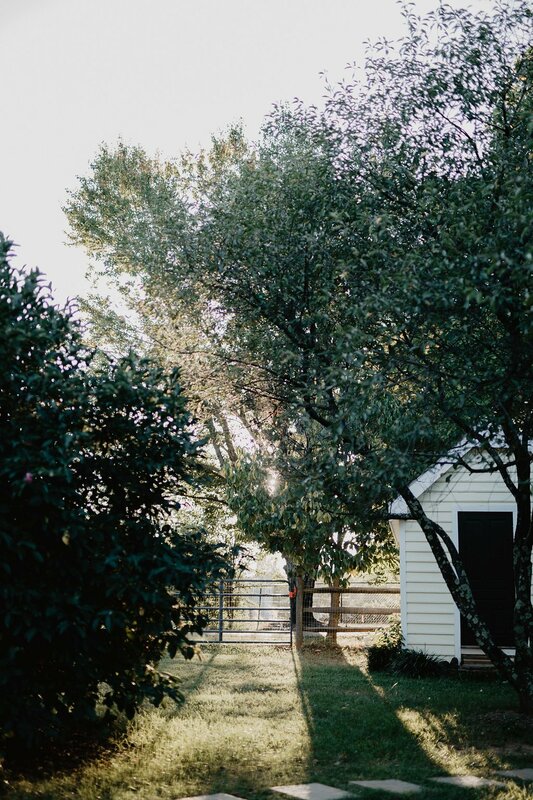 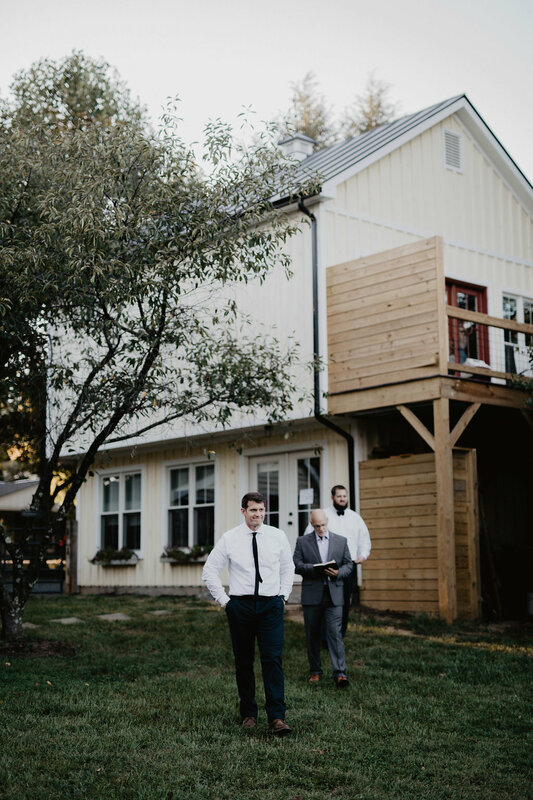 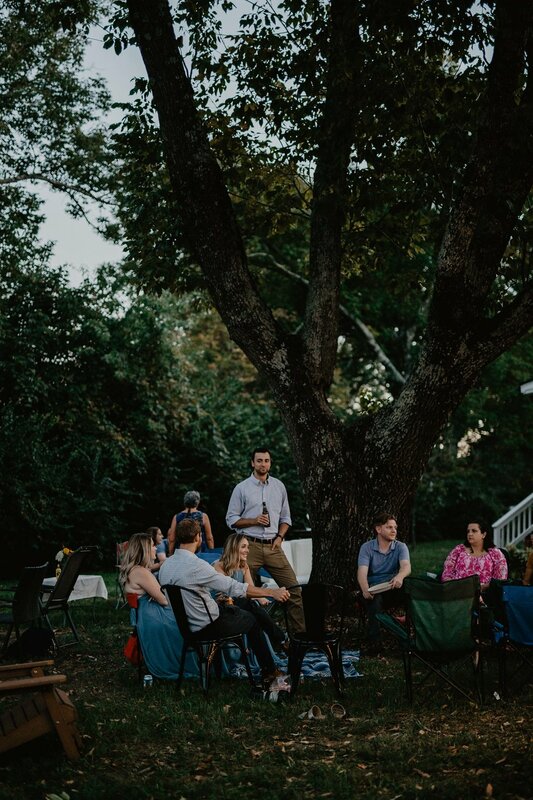 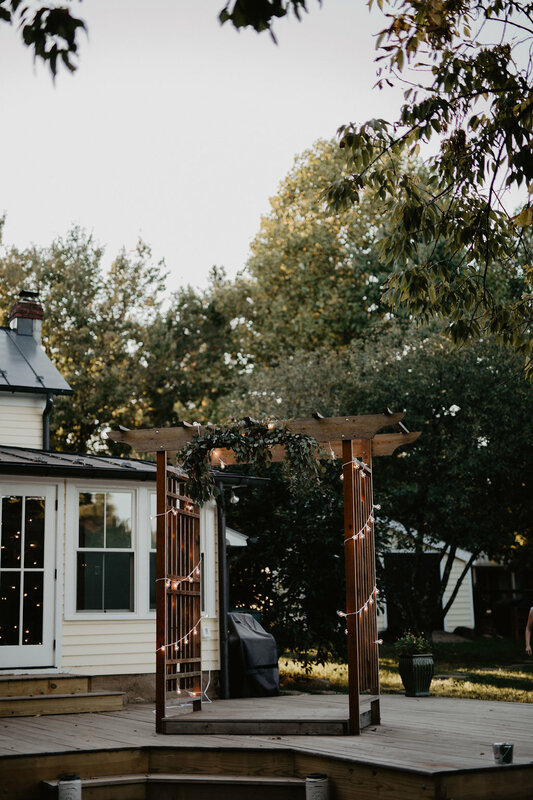 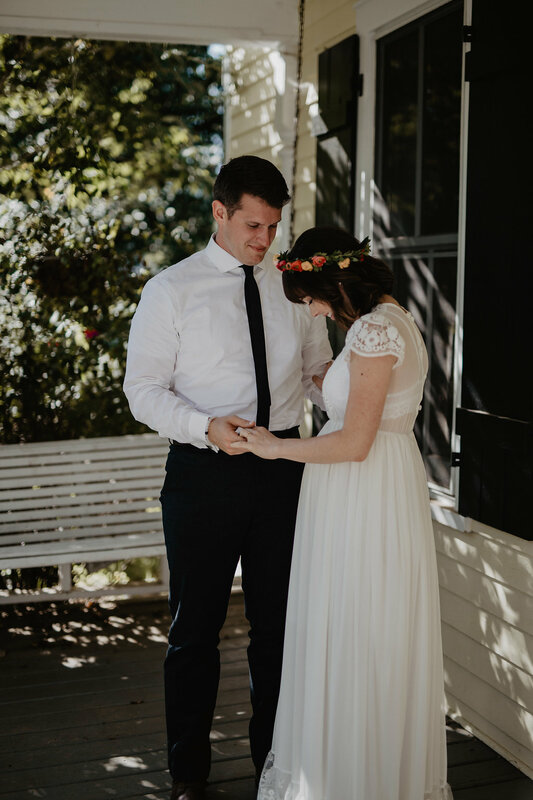 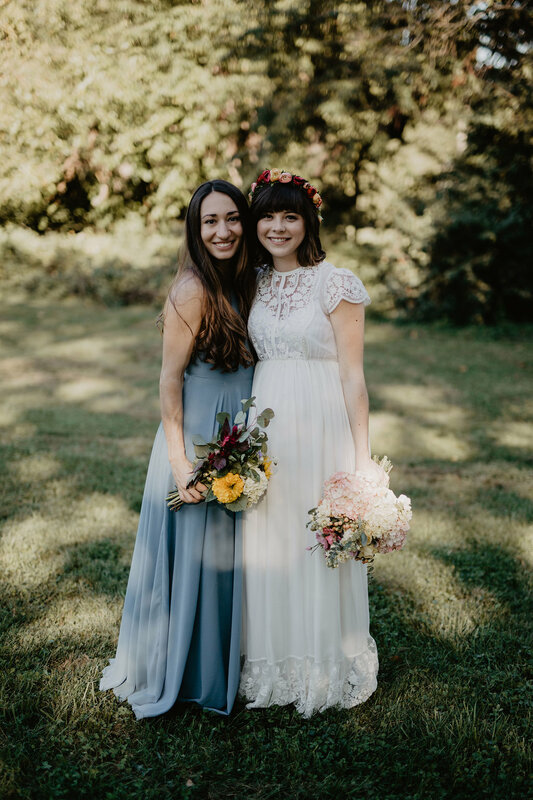 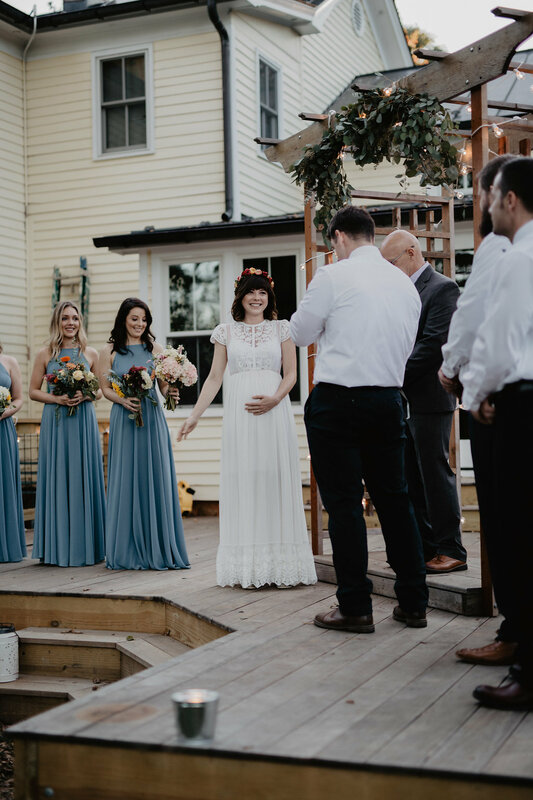 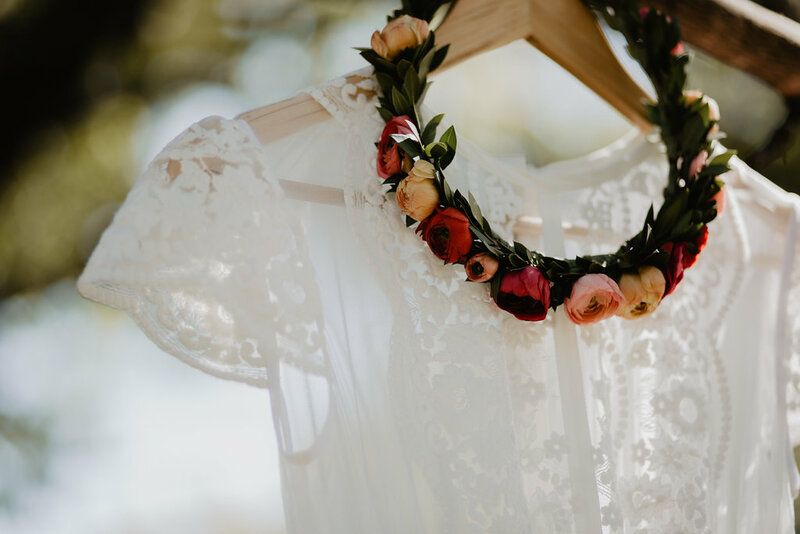 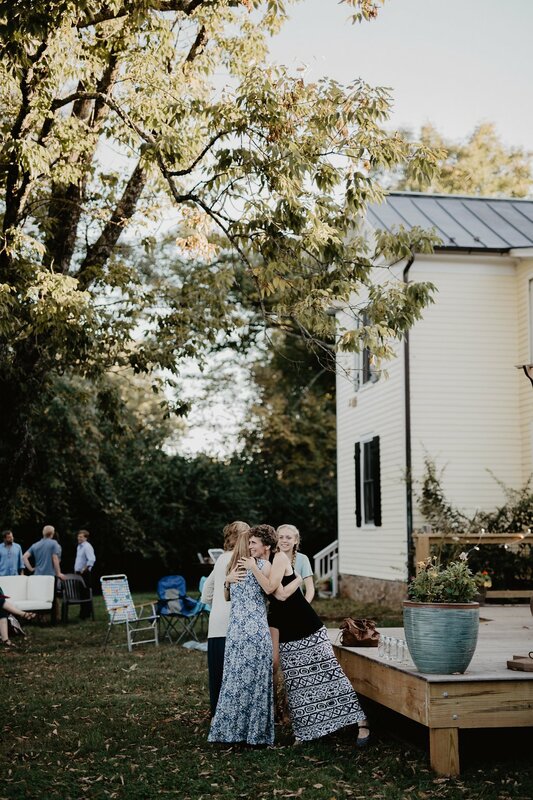 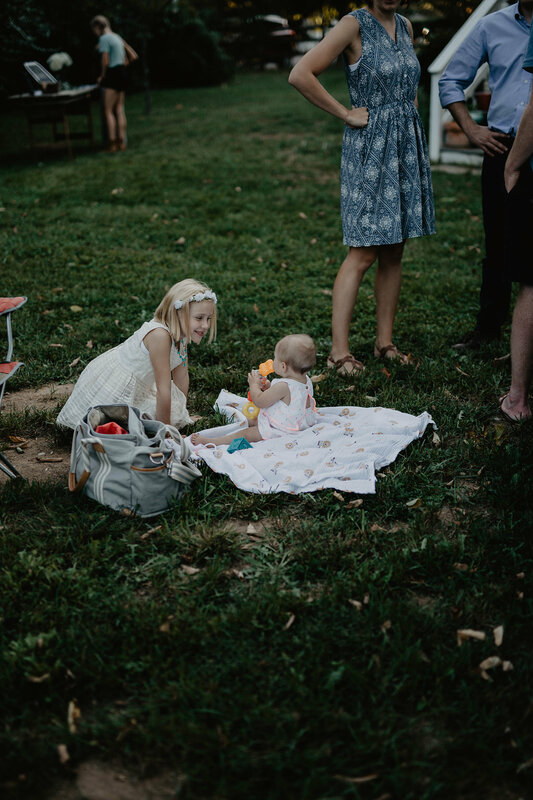 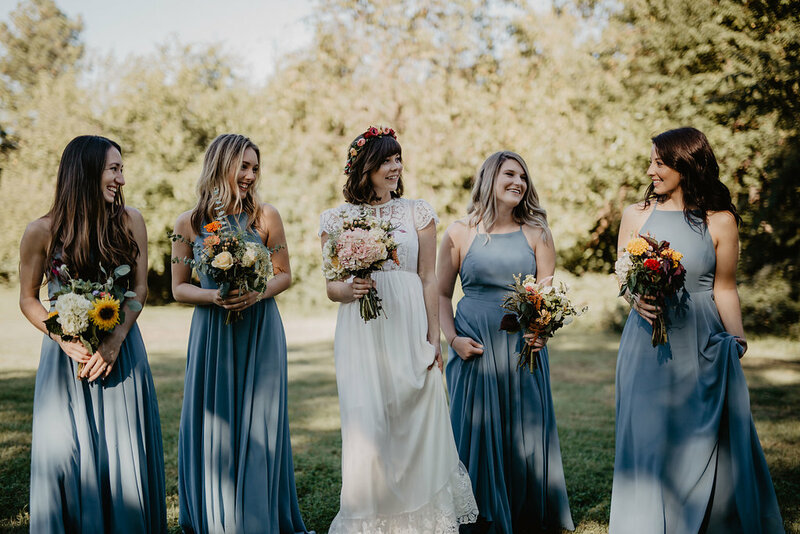 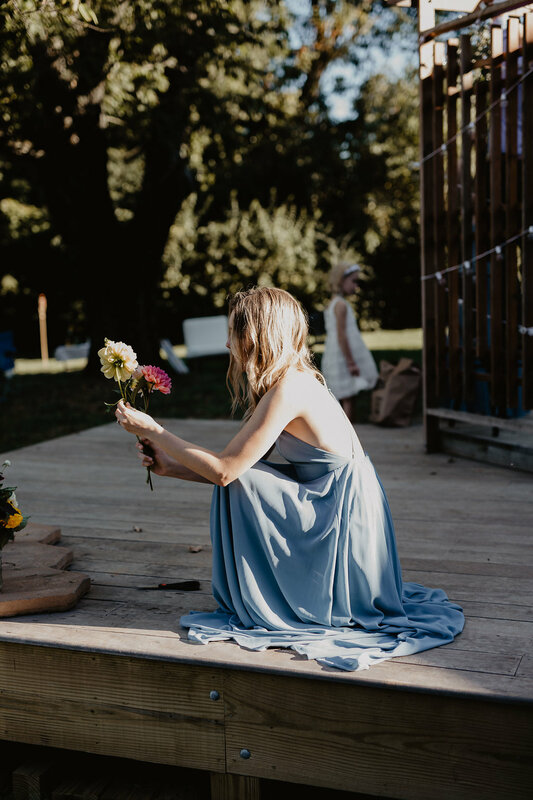 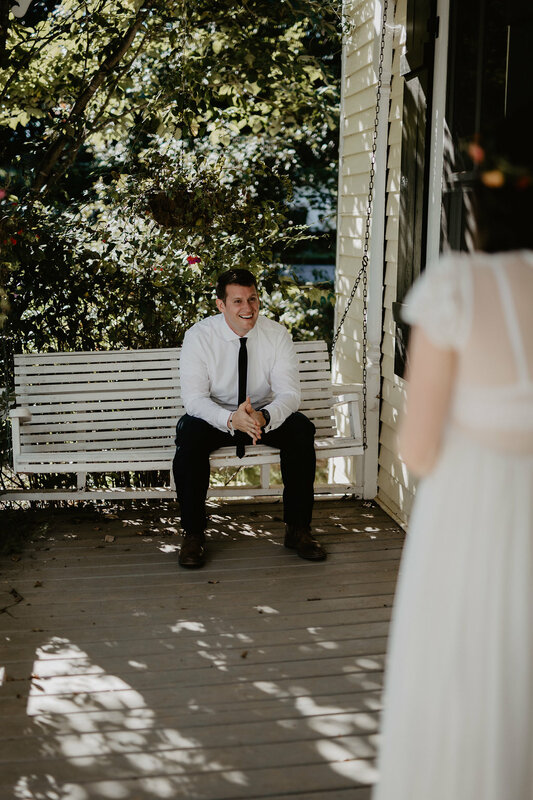 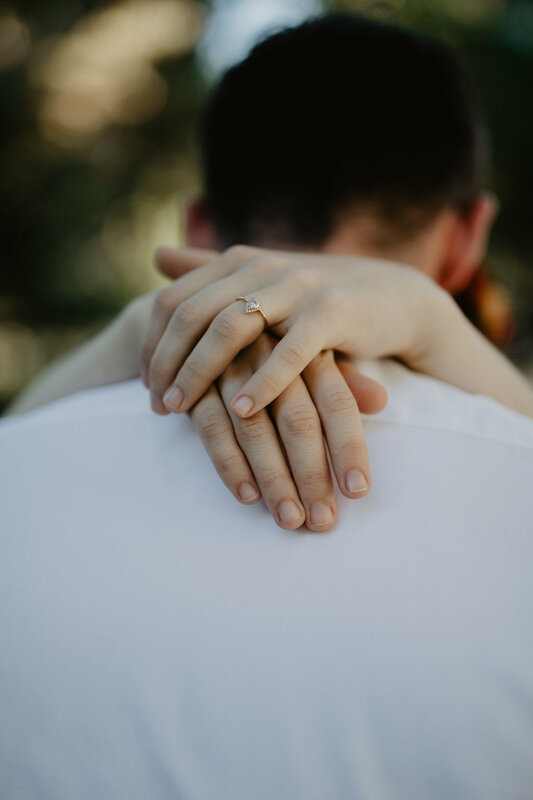 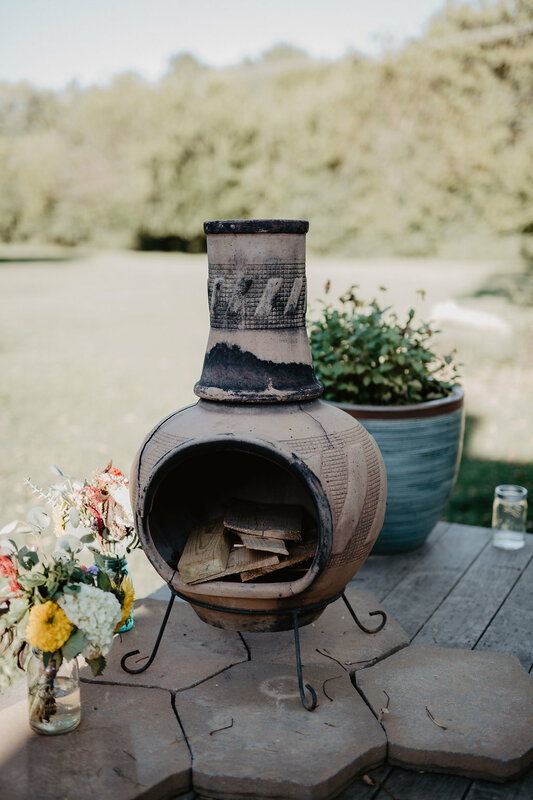 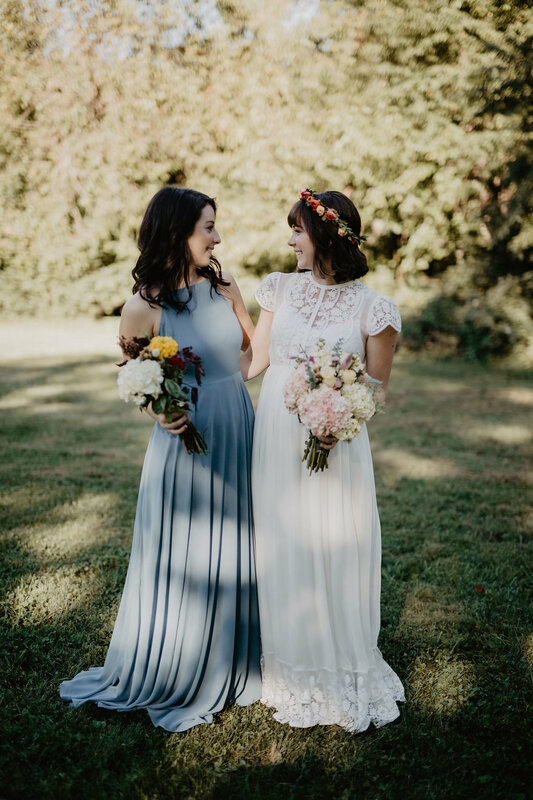 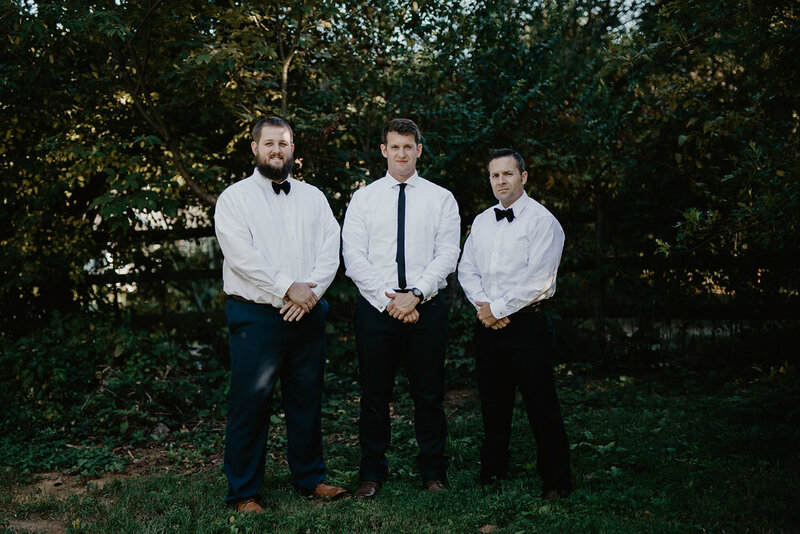 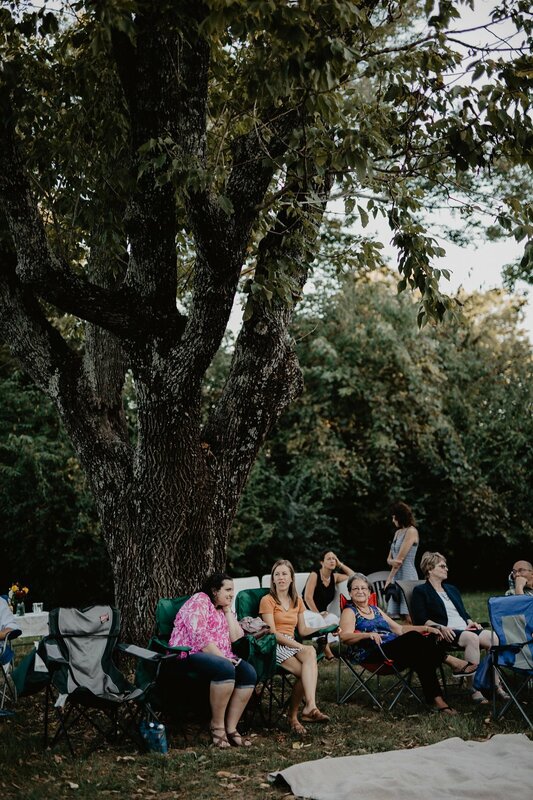 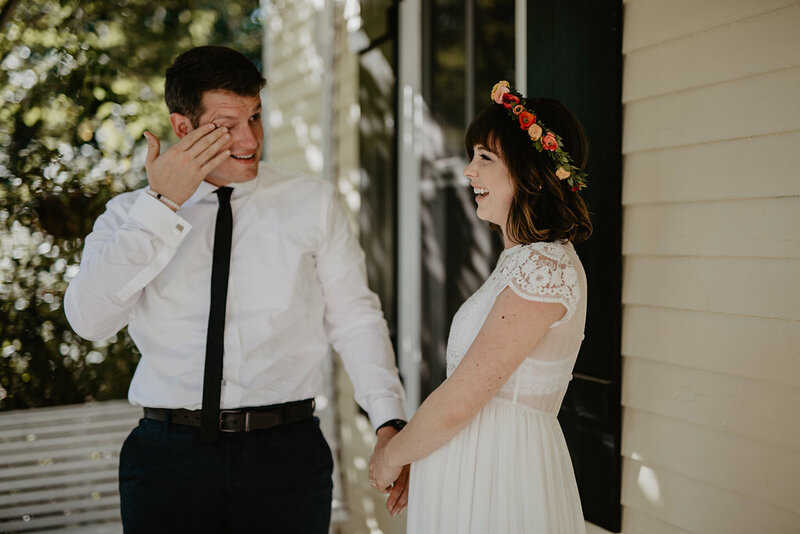 This intimate backyard wedding was held in beautiful Crozet, Virginia just a few minutes outside of Charlottesville in the heart of the Blue Ridge Mountains. 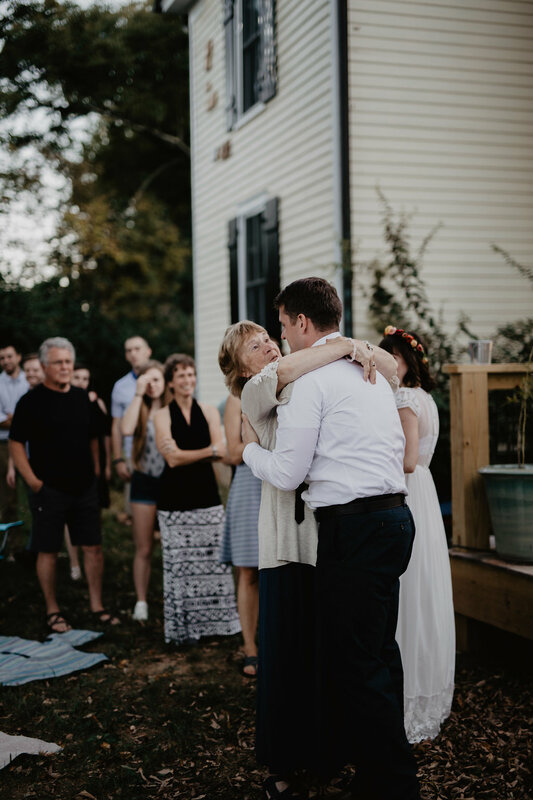 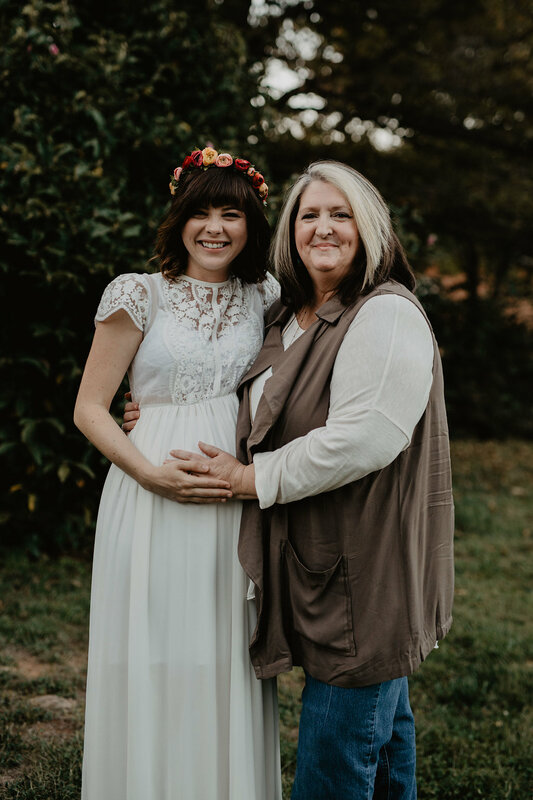 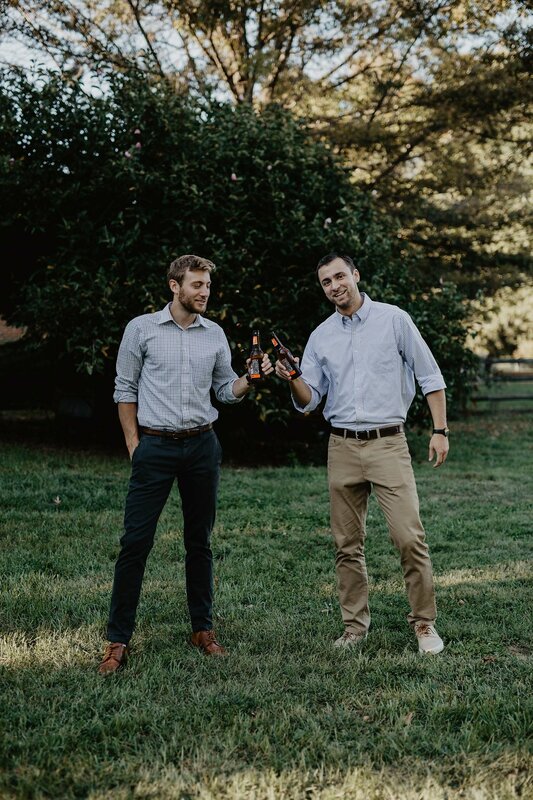 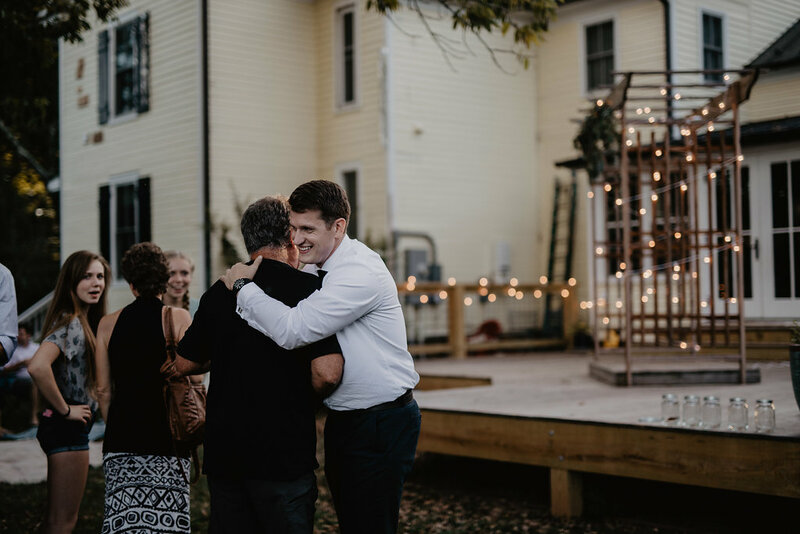 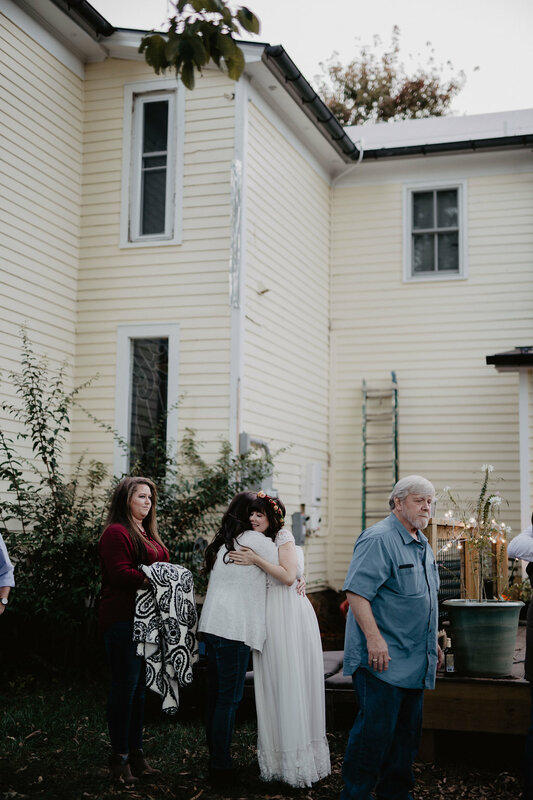 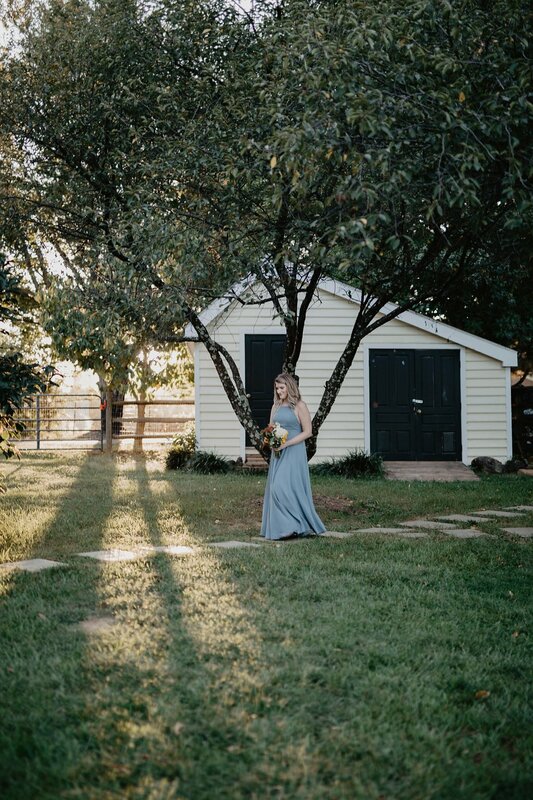 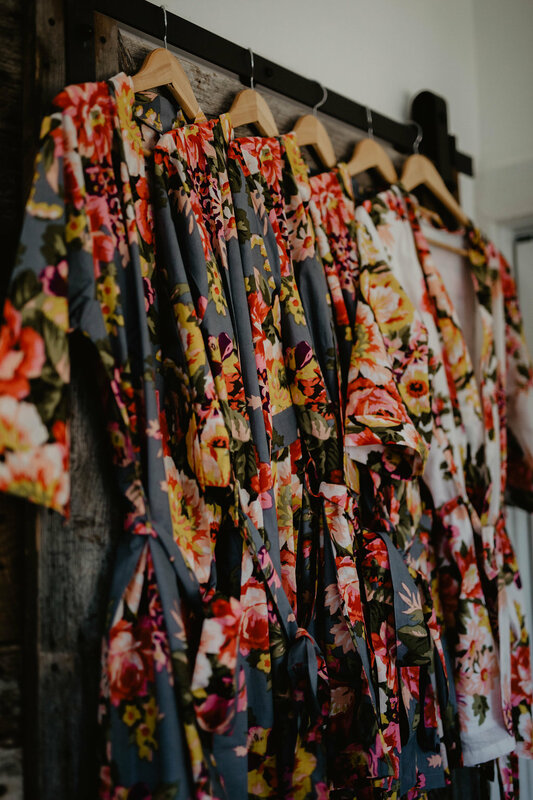 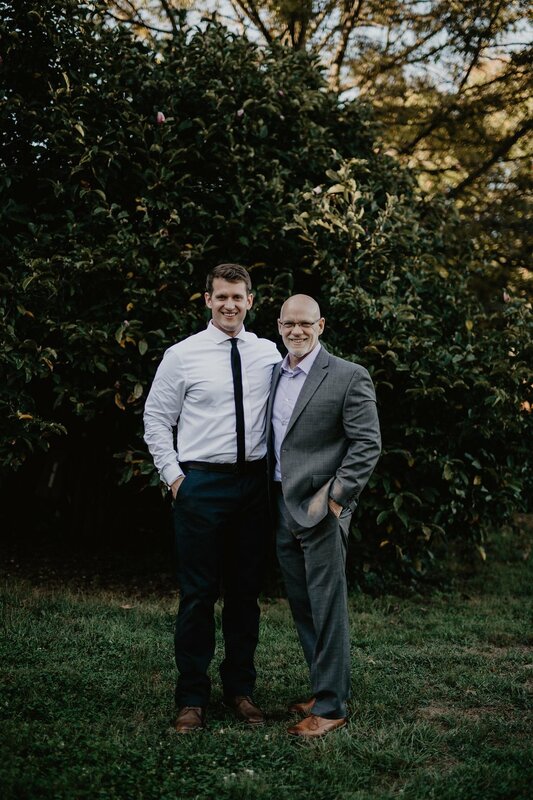 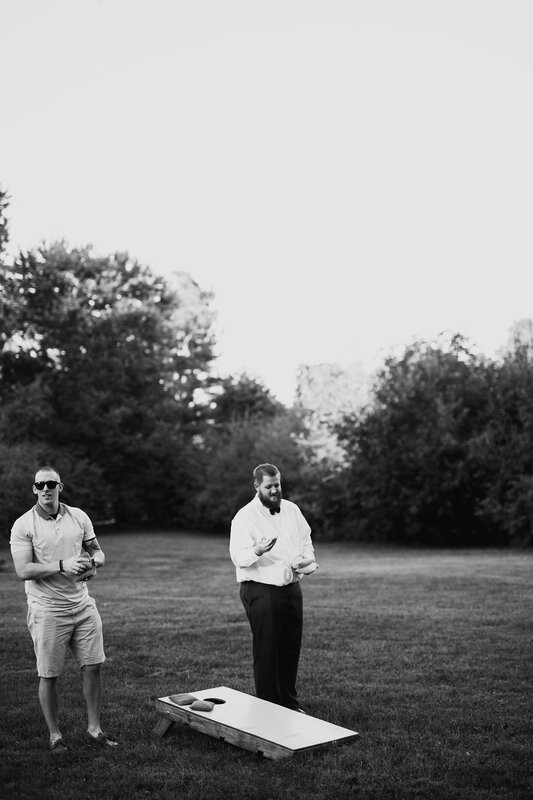 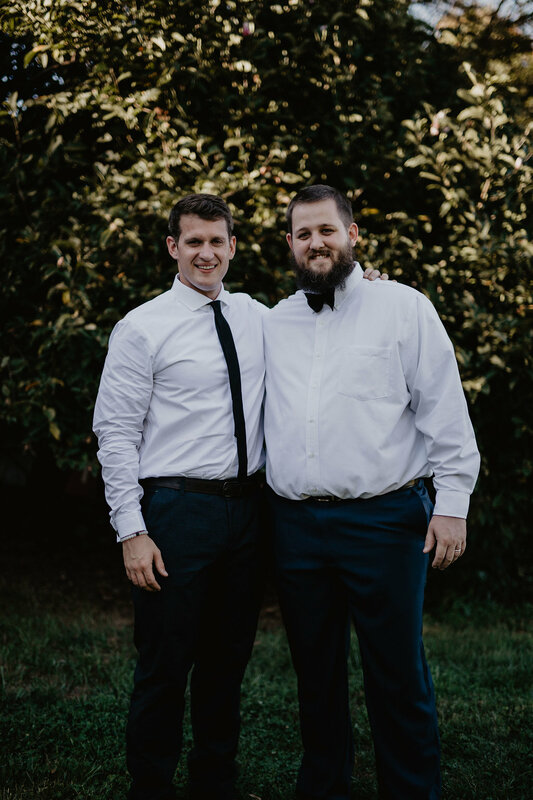 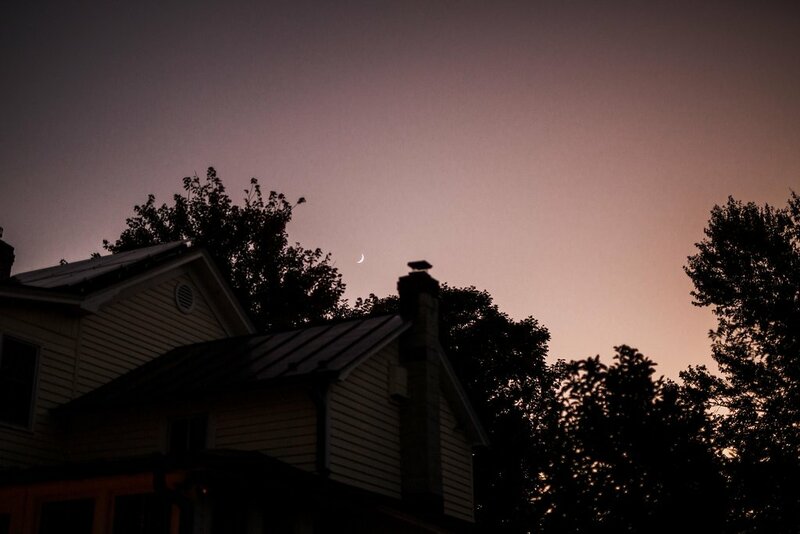 I always love going back to Virginia since it is where my husband Dan and I met and this wedding was the perfect reason to fly back and visit. 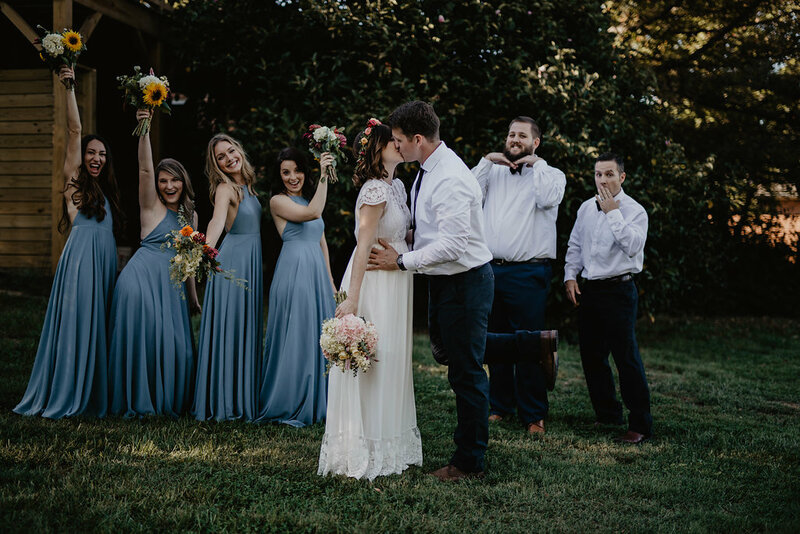 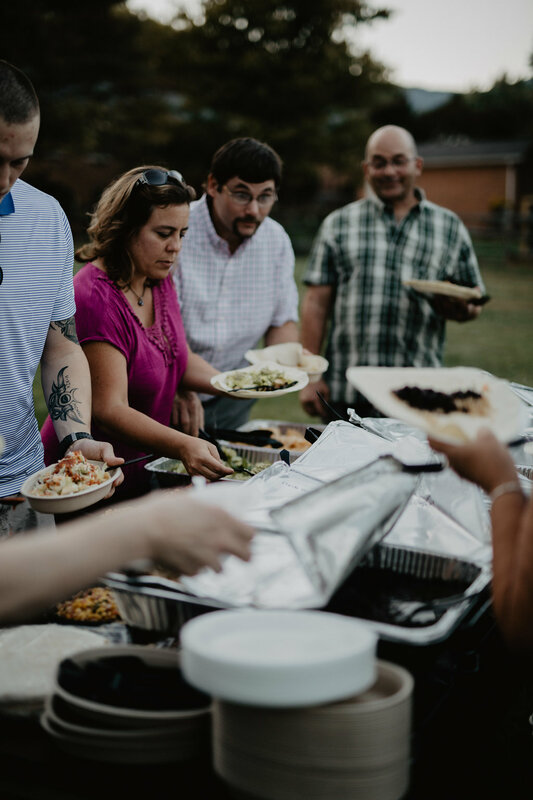 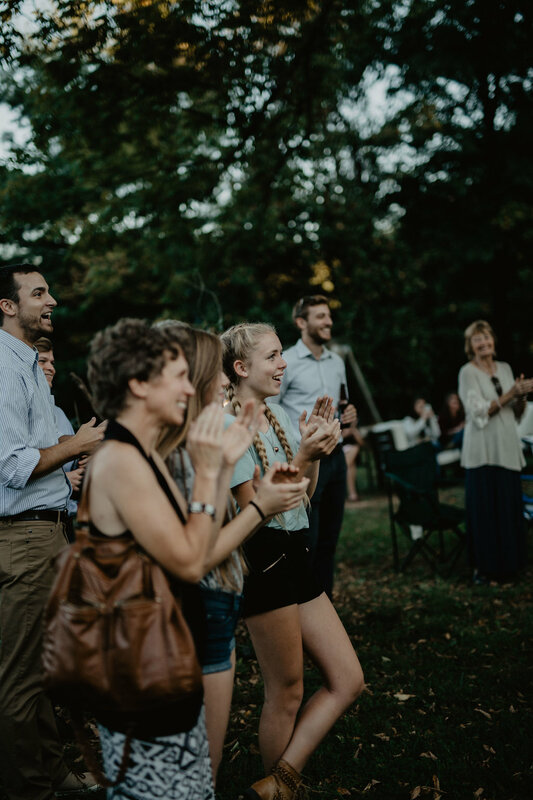 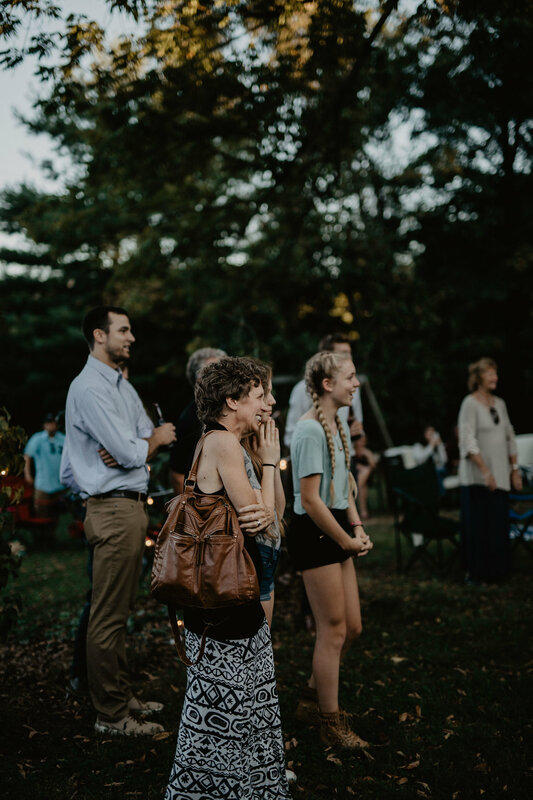 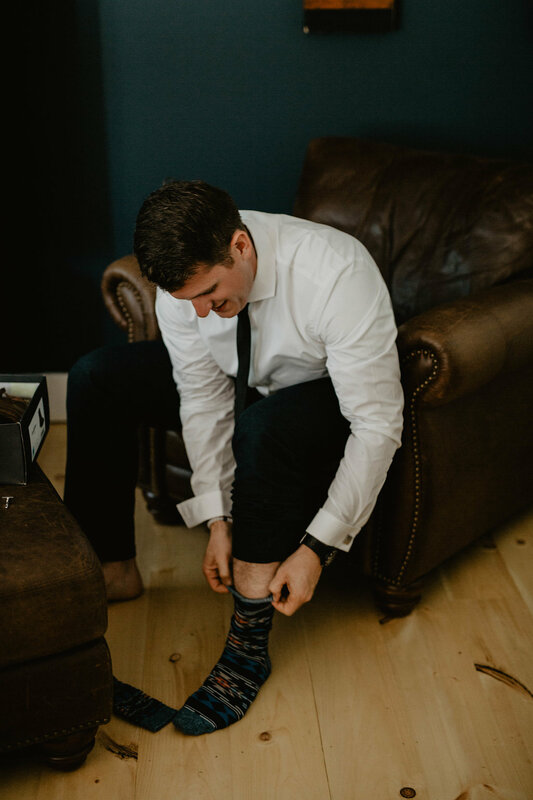 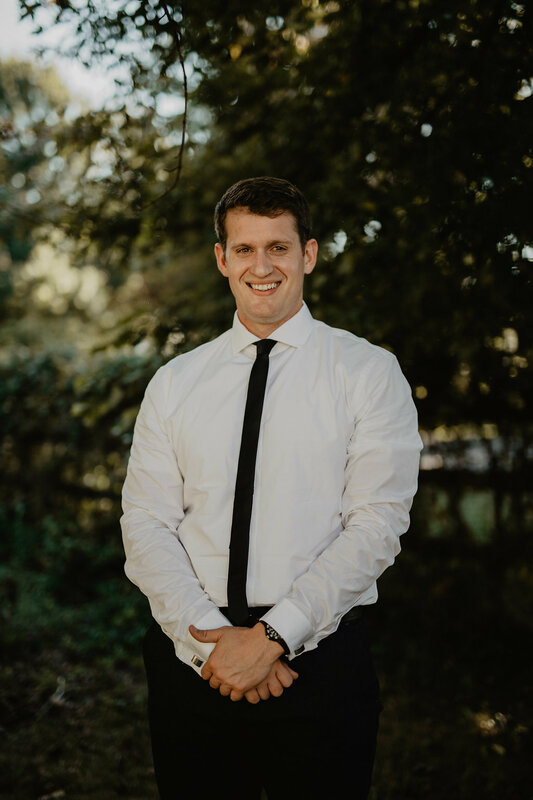 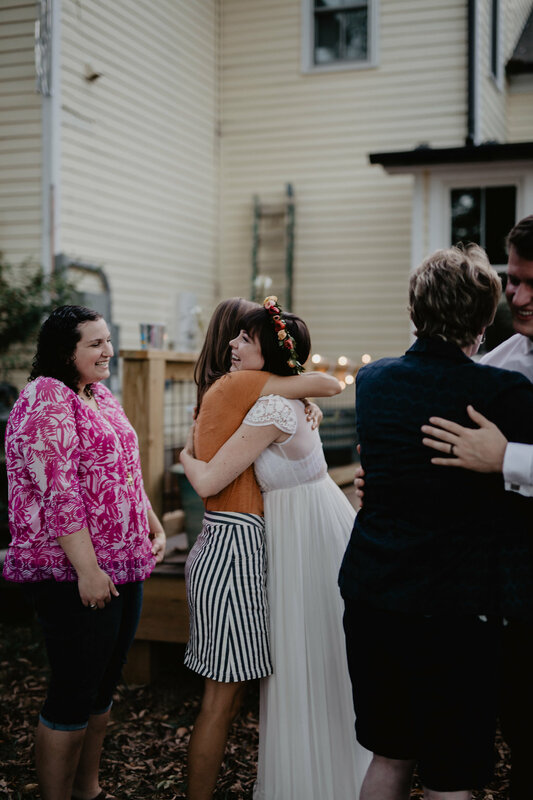 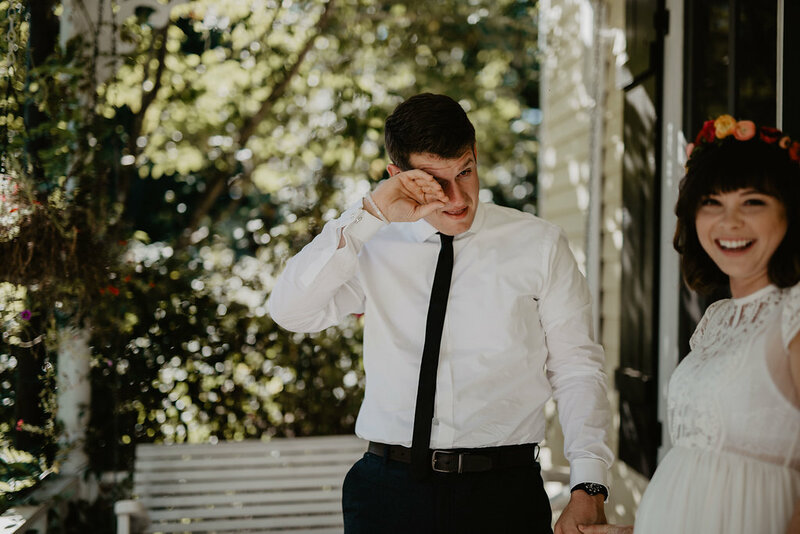 On top of everything else that made this wedding so special, Bonnie and Chase told all of their guests they would be attending an engagement party. 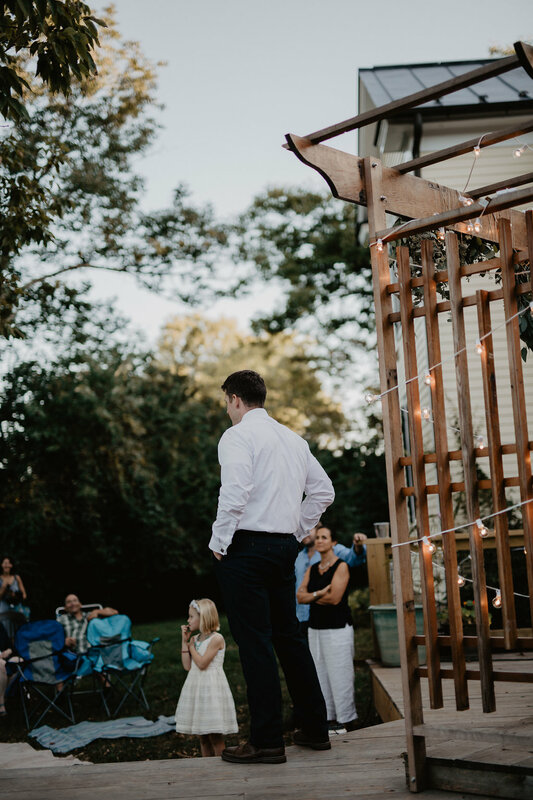 After the guests arrived Chase announced that they were actually here for a wedding which would be starting shortly! 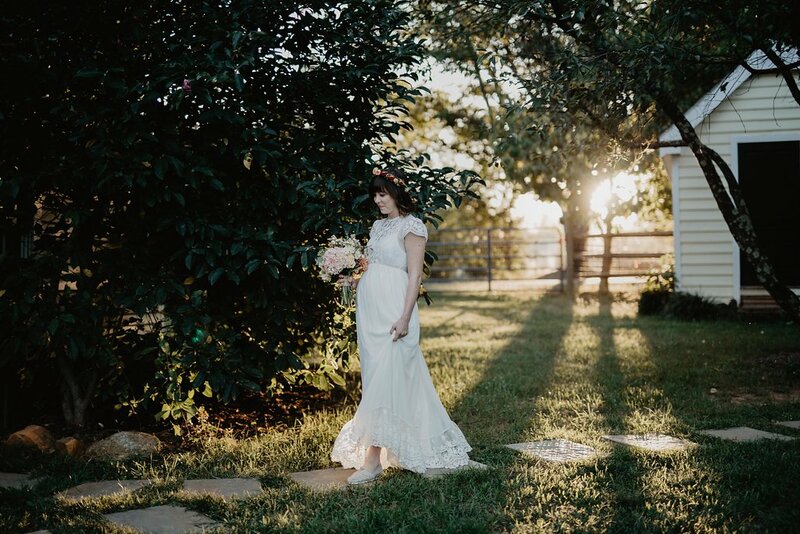 Talk about a reveal! 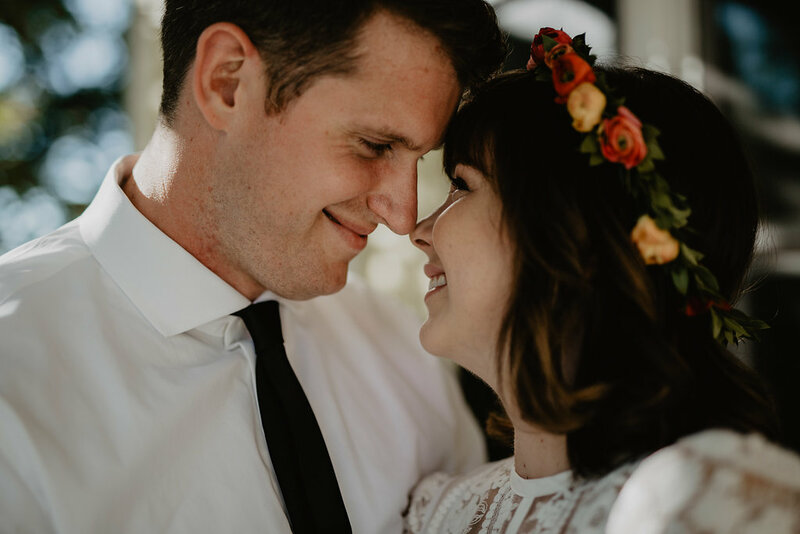 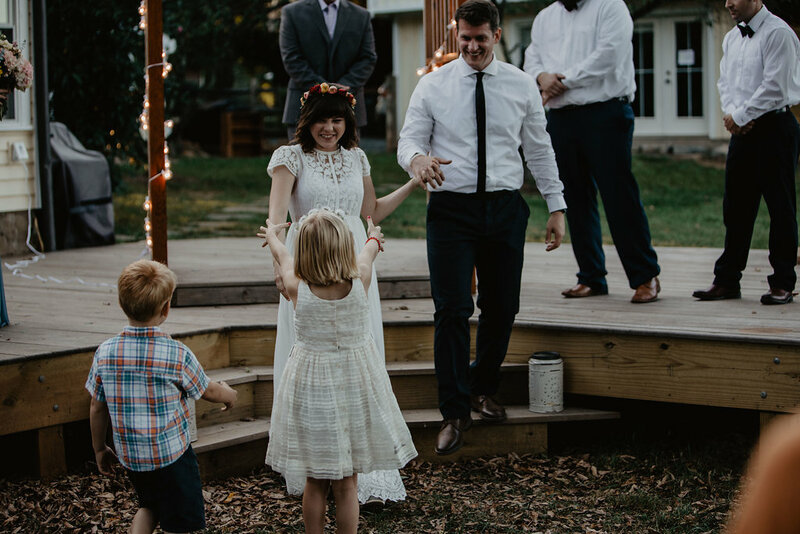 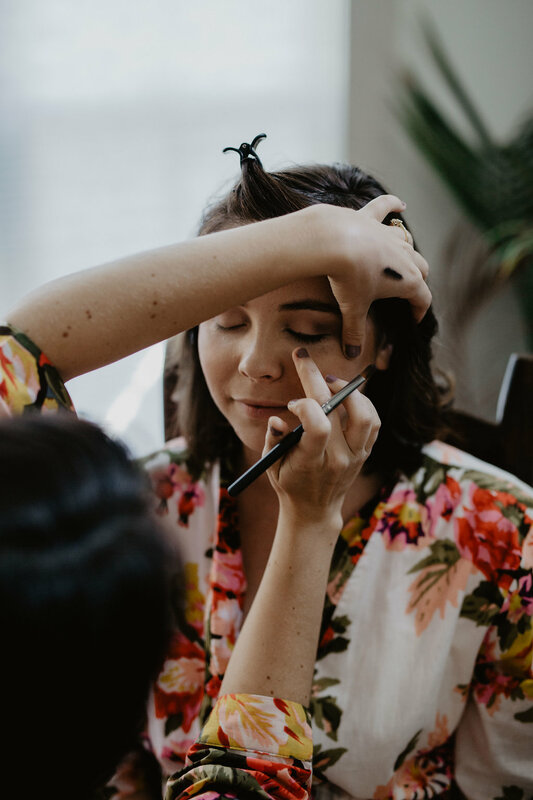 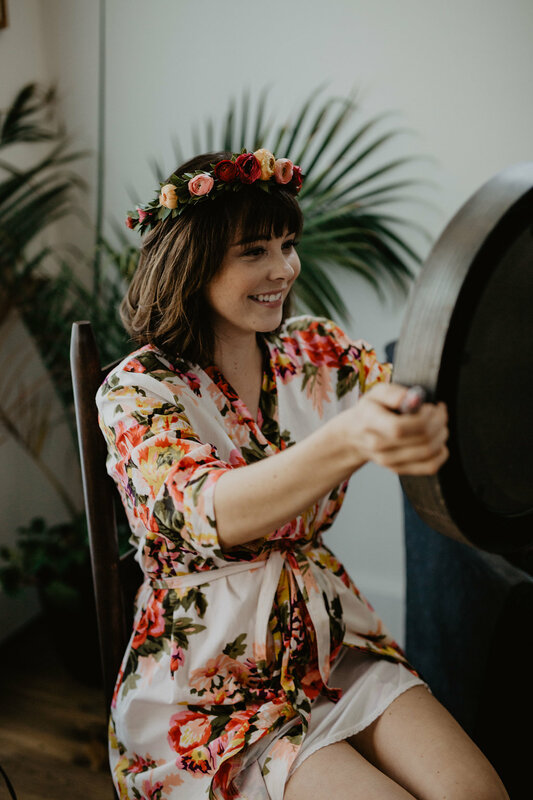 This wedding was relaxed, low-key, and joyful, everything Bonnie and Chase wanted when they were planning their day. 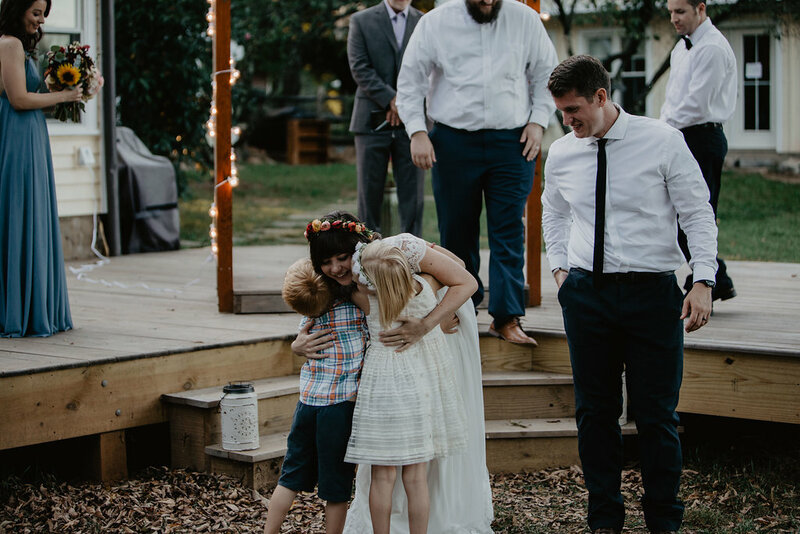 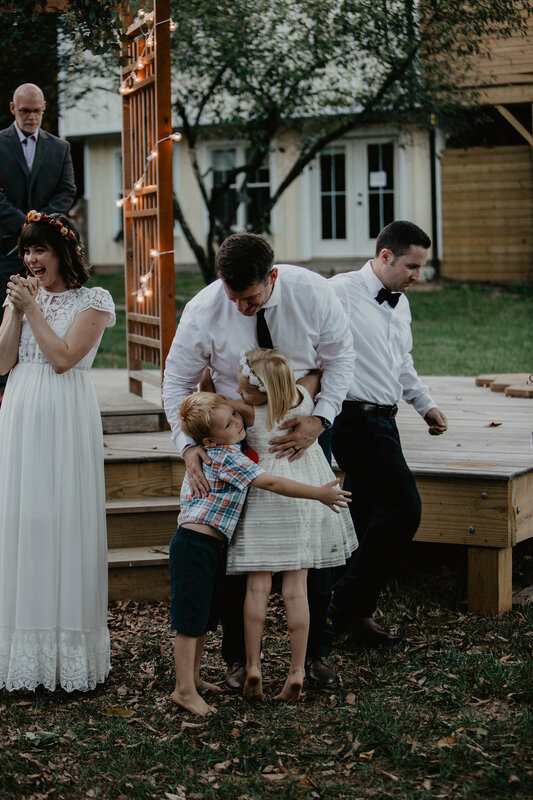 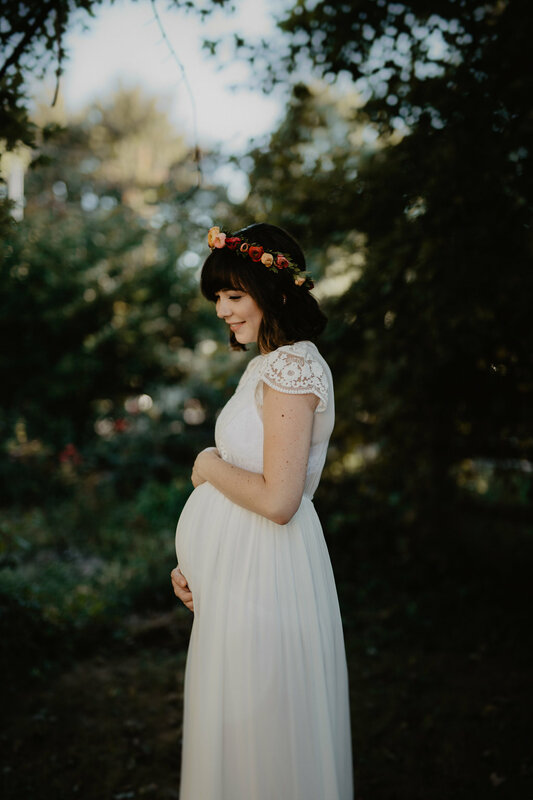 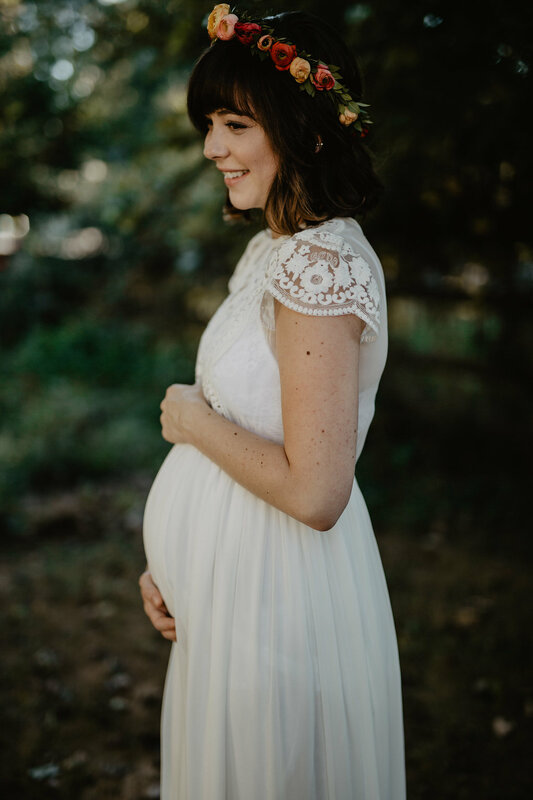 It was so incredible to be a part of the celebration for this little family. 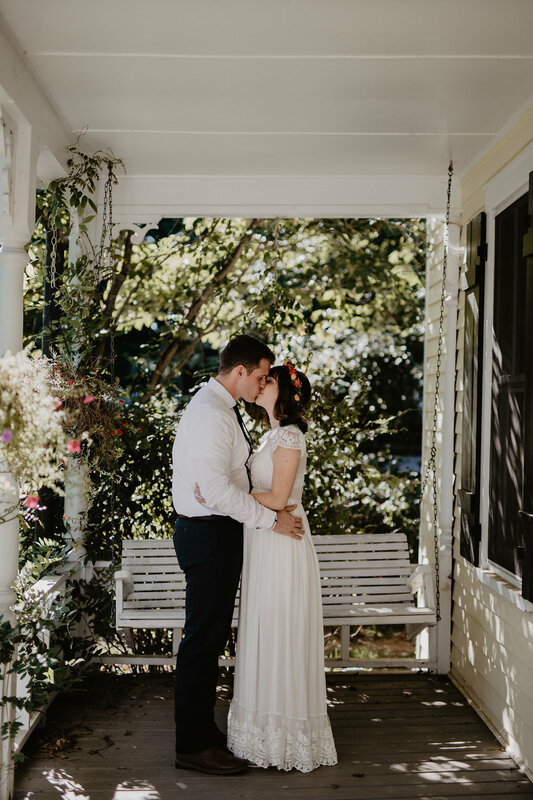 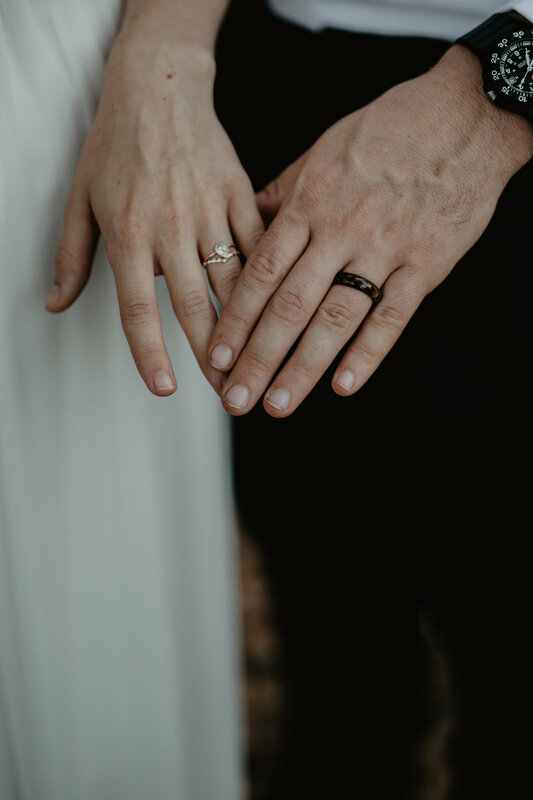 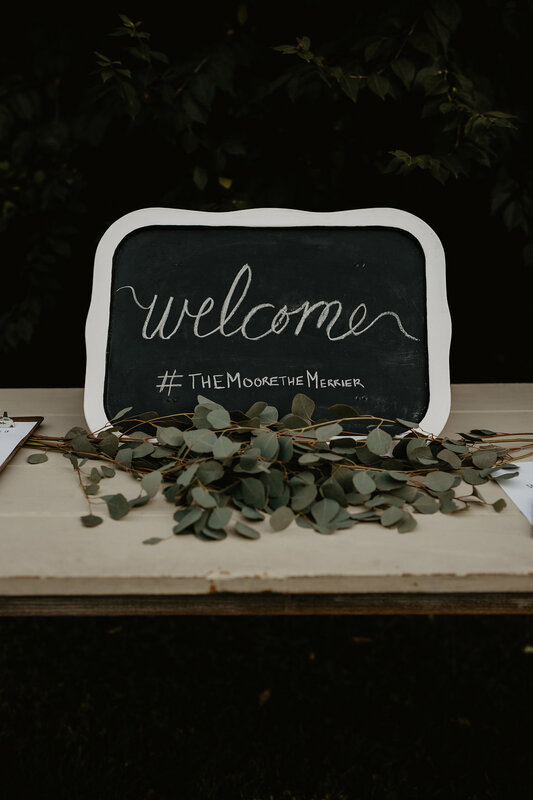 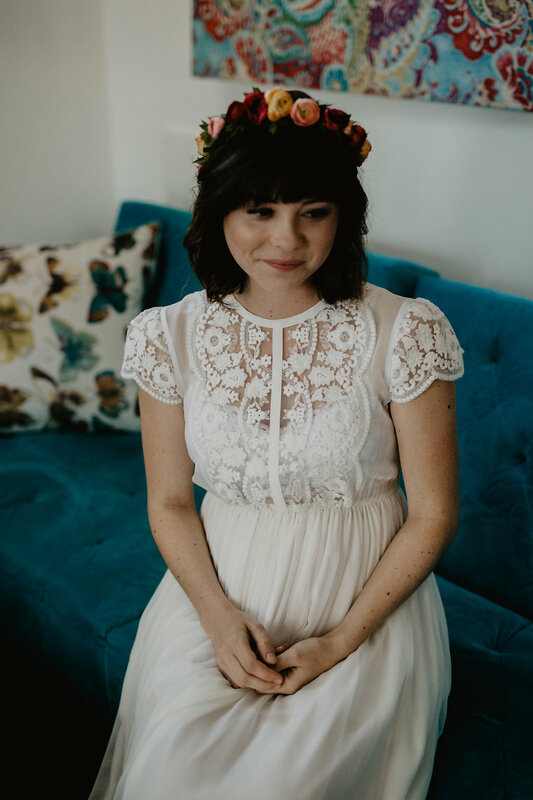 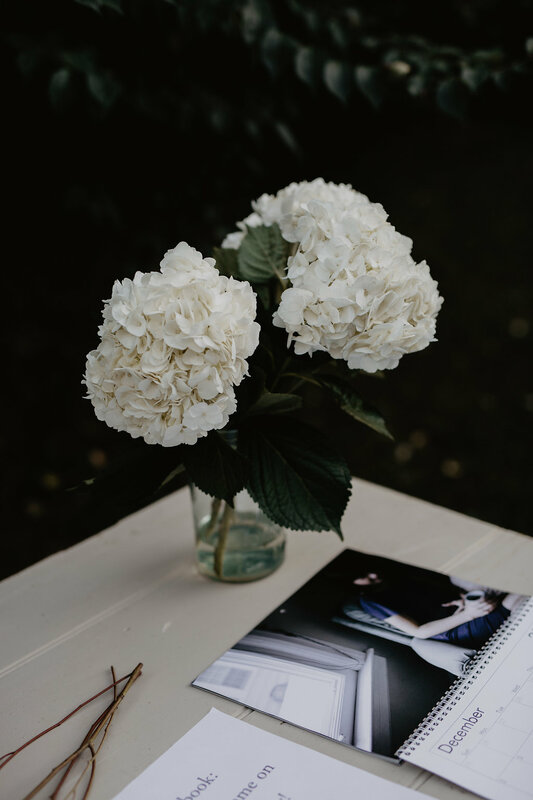 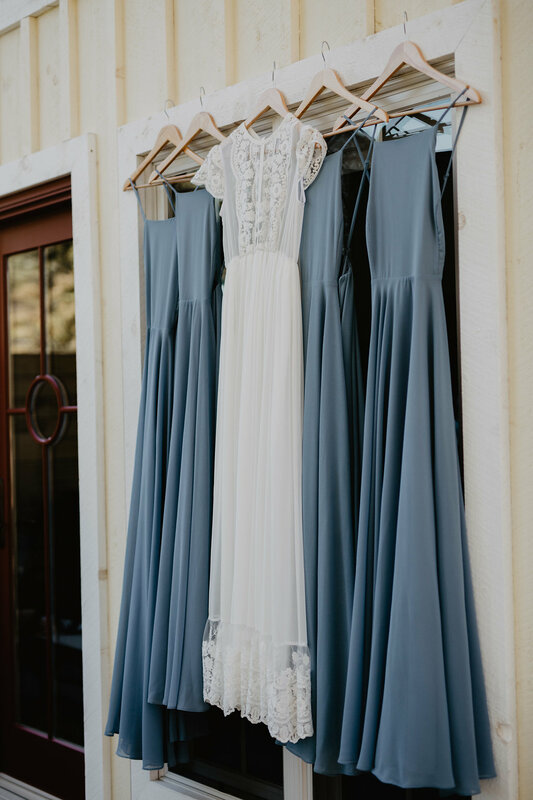 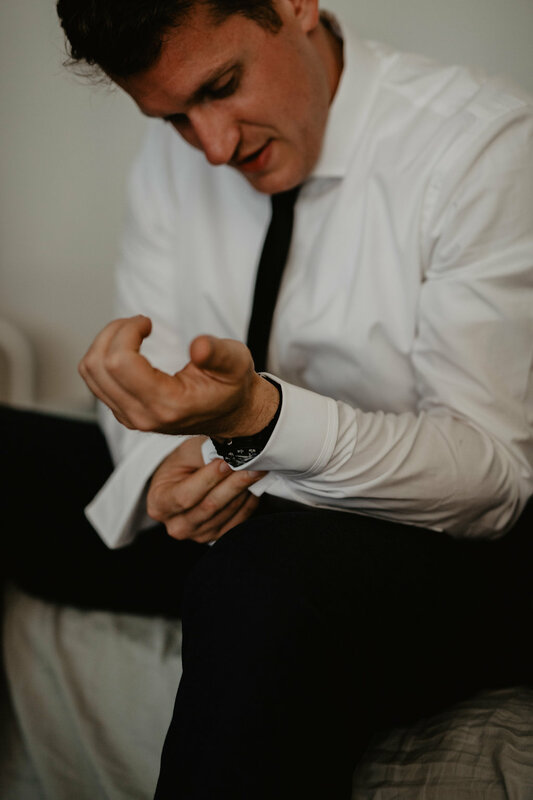 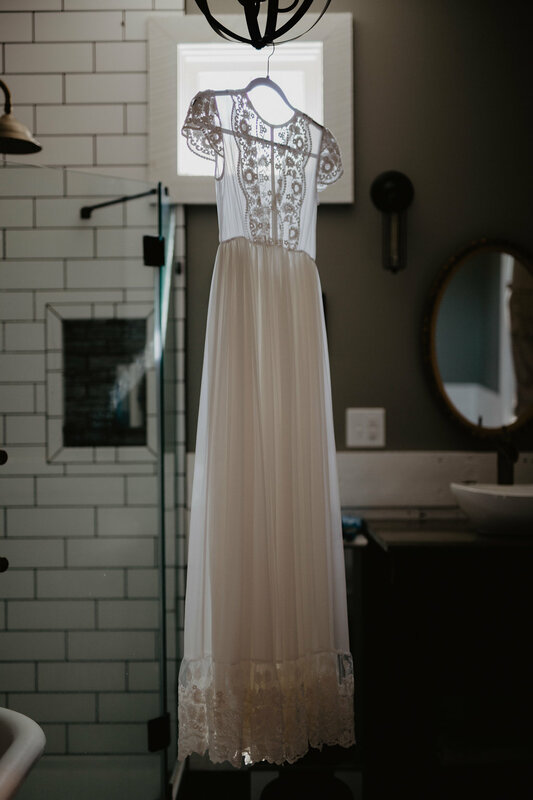 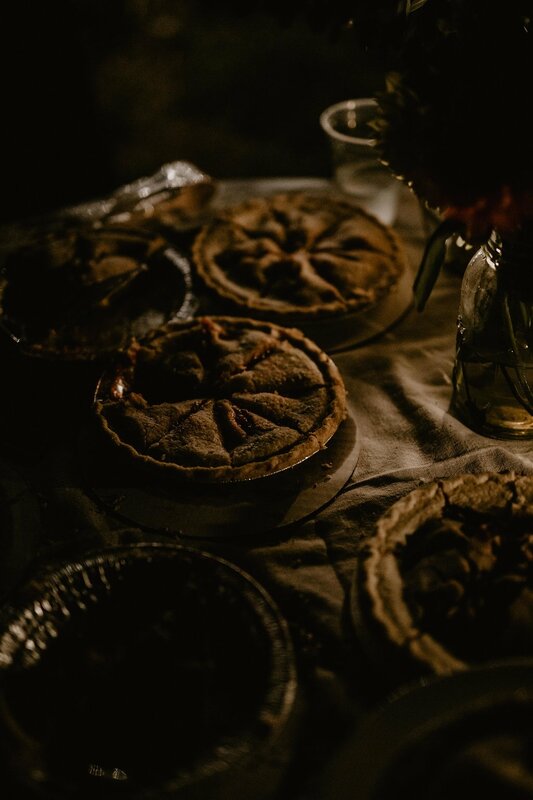 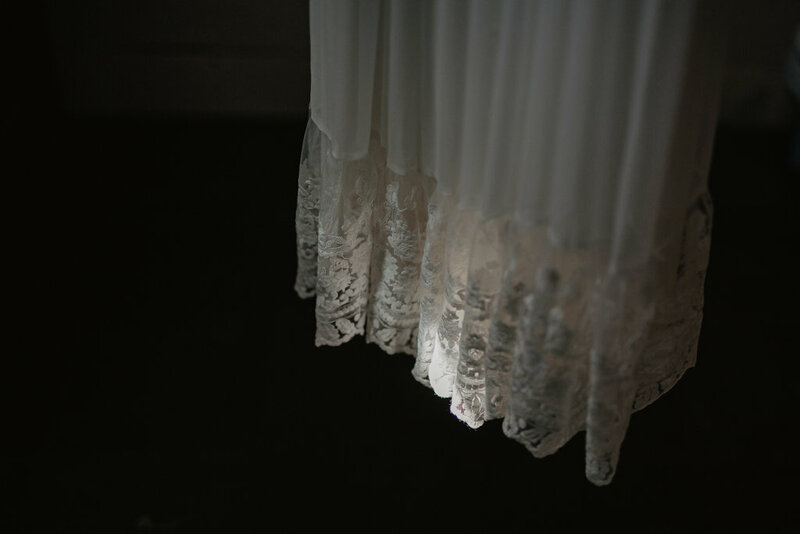 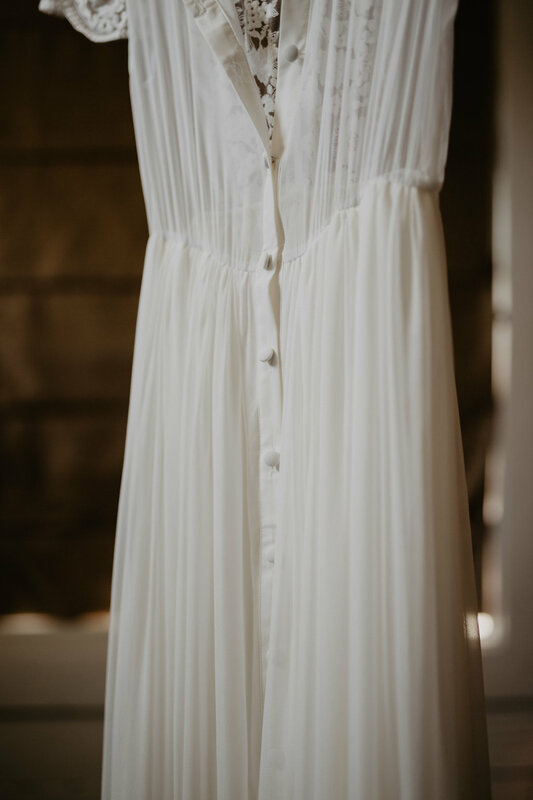 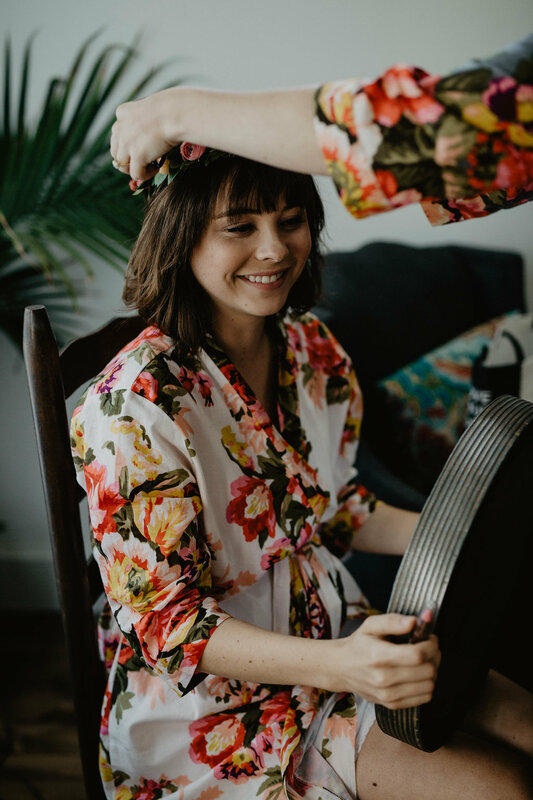 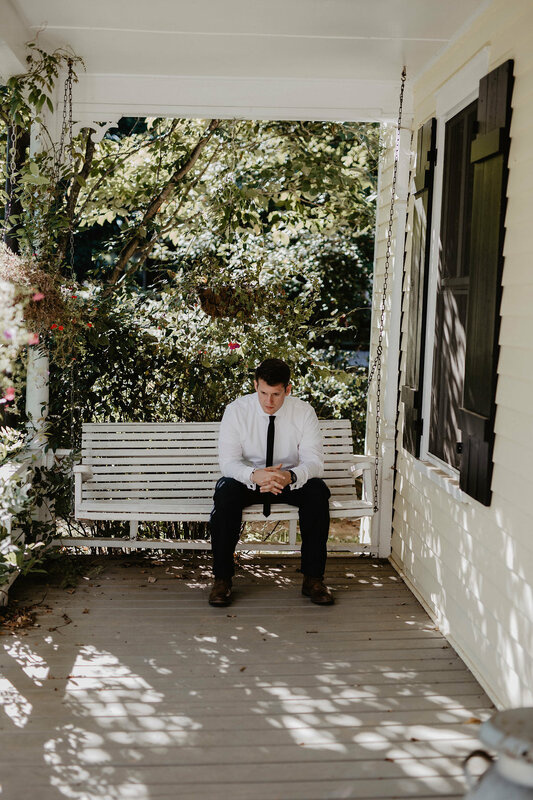 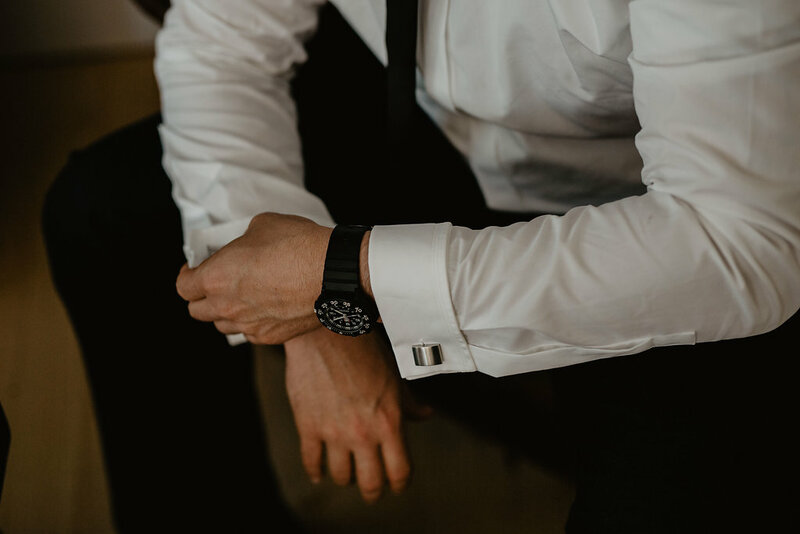 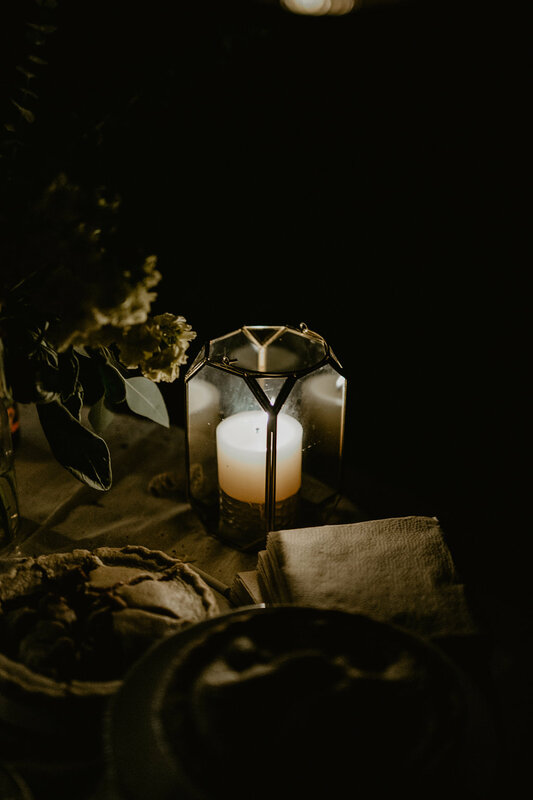 I love how Bonnie and Chase's simple, minimalist style permeated the entire day; from the guest list to the decorations, everything was intentionally kept true to them. 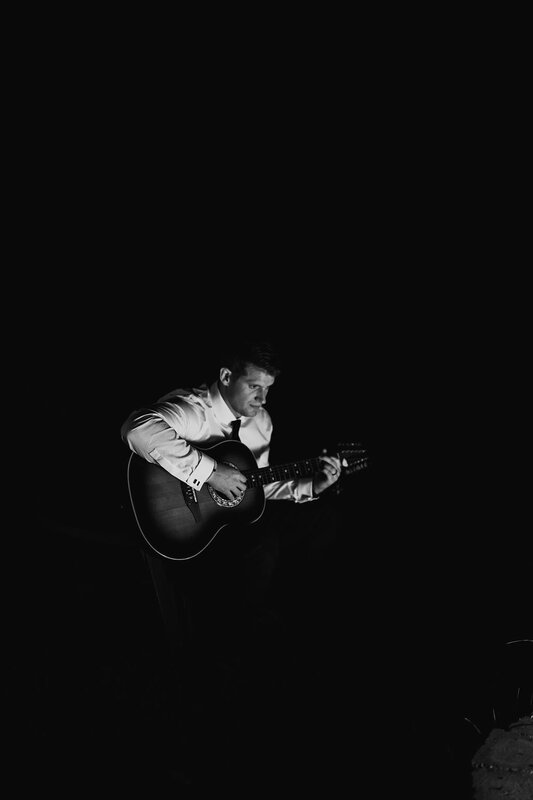 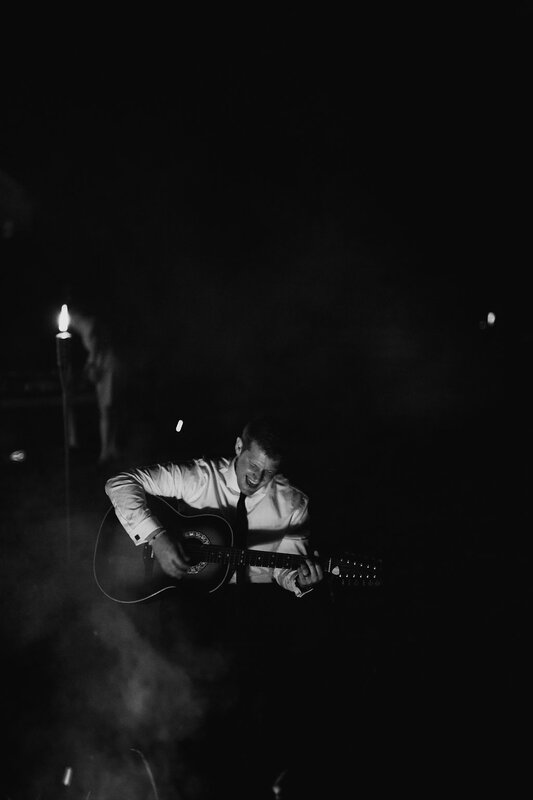 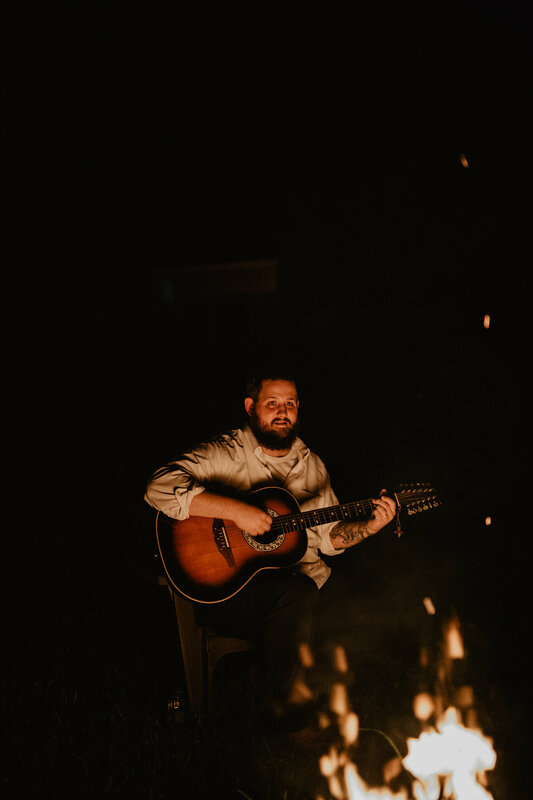 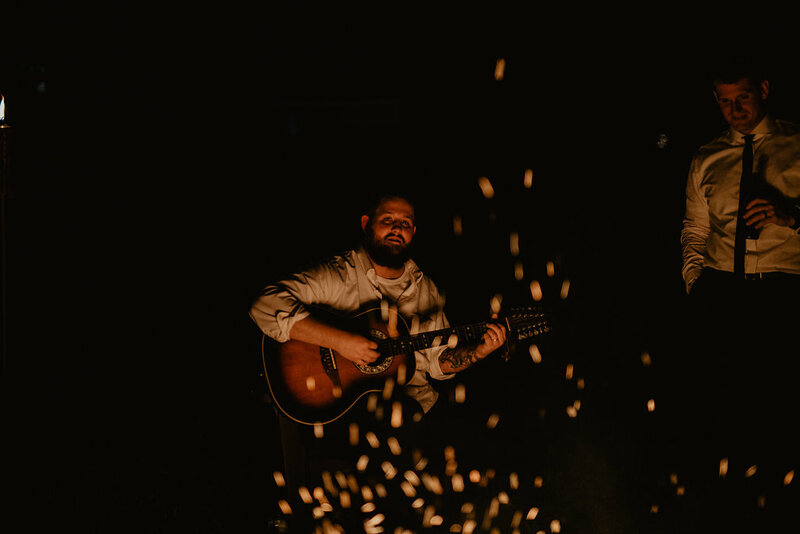 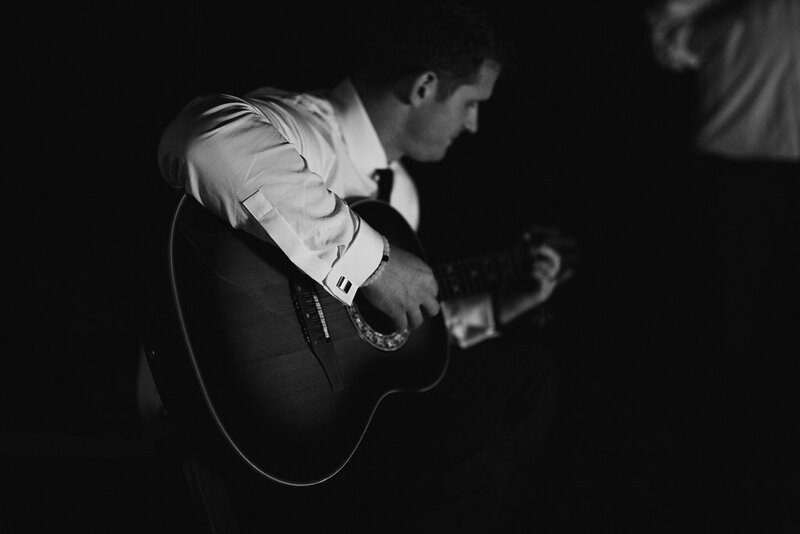 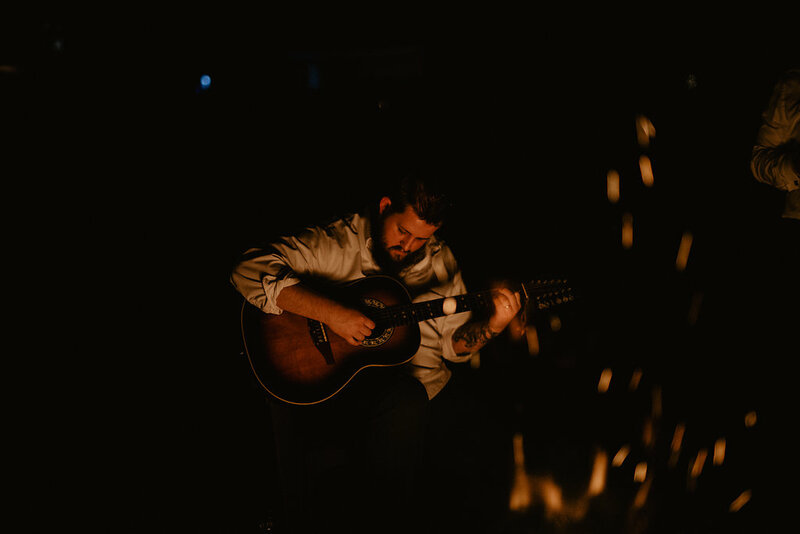 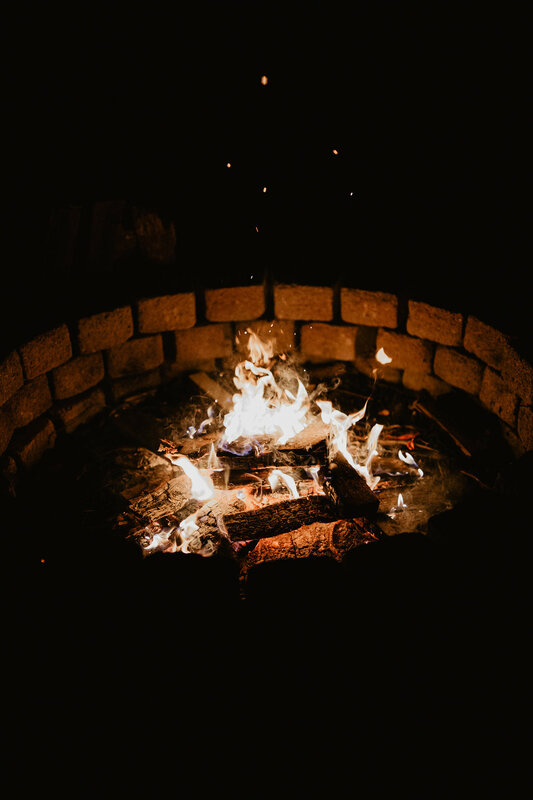 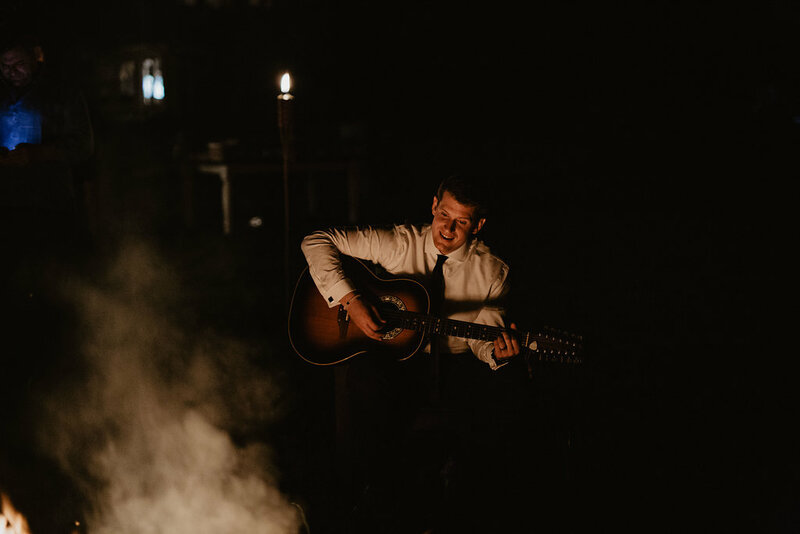 At the end of the night, everyone gathered around the firepit while Chase serenaded his audience with a mix of serious and comedic songs. 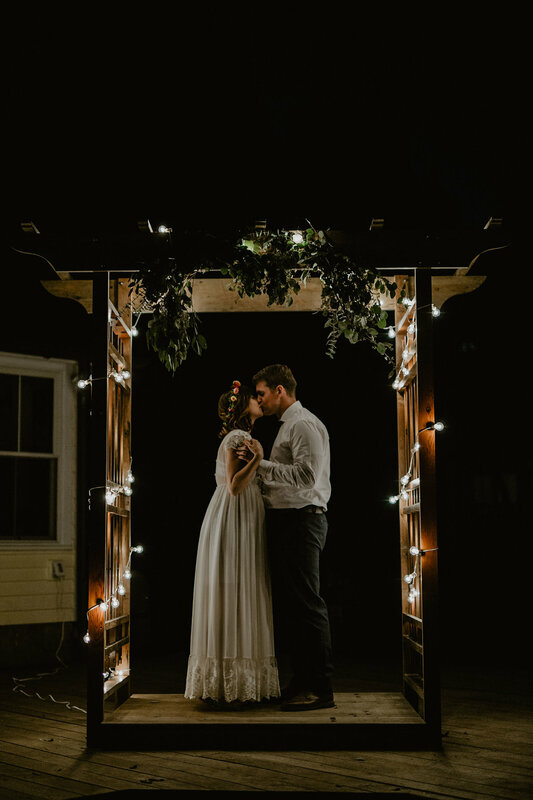 It was the perfect way to end the night.